"Your over all service is great, but I've expect you to give me some rubber covers." "Always bring a wide smile to a satisfied customer. Great and excellent work on the blade and glueing of both rubbers." "Excelente servicio, si tienes alguna duda acerca de tu envío, te la resuelven de inmediato, si necesitas algún papel porque tu producto tiene problemas en aduana, te lo mandan, si tienes alguna queja, te atienden siempre con amabilidad. Además, no hay otra página en donde tenga las mismas ofertas y descuentos que esta. 100% recomendable y confiable." "Excellent package, great racket assembly, no mistaken products, order arrived on (promised) time - what else to ask for? A truly highly recommended e-shop - THANK YOU, tabletennis11 !" "Очень понравилось обслуживание магазина,скорость доставки,сборка ракеток качественно сделана.Однозначно буду приобретать в этом магазине и в будущем. Только хотелось бы ,чтобы еще в ассортименте появилась продукция фирмы Yinhe(Milky Way) Это было бы замечательно. А в остальном все отлично." "Very fast service. The Nittaku Acoustic Carbon Inner comes very well mounted with Fastarc G-1 & C-1. This blade is amazing. Great control. Wood feeling and when I put engagement the Inner Carbon comes to put power on the p-ball. It’s an easy blade to play. I recommend this blade for all player beginners and professionnals. Thank you TT11. I will recommend this shop." "Delivery time and post-sales customer care are excellent. A full recommendation for tabletennis11 from my side! Ordered item: Darker Liberta Willow Many greetings, Martin"
"Hi guys.It's been a while since the last time a posted a review about a website, and I truly believed I was not gonna do it again, because of some bad experiences I had to go through. BUT...I must admit that there are some "good" websites out there and then there is TABLETENNIS11.COM. Guys...this website is the most professional and serious service I have EVER seen in my life. I just wanted to say THANK YOU TABLETENNIS11.COM for providing us with such a wonderful, amazing and professional service. Please guys keep it up...Once again...THANK YOU"
"Молодцы! Вы лучший интернет- магазин. У вас покупать одно удовольствие. Спасибо." "Great! So glad I tried this store. Plenty of products to choose from. Good prices. Fast shipping free shipping on my order. 3 days from Estonia to Texas, USA. DHL shipping was trackable from the order to the time the shipment arrived, I was so excited to try the new equipment which so far is excellent. I ordered all DHS product and am feeling the Double Happiness. Thank you TT11, Frank." "Хороший магазин. Купил Xiom Zetro Quad Borja power. Доставка 10 дней. Ответственный подход к клиенту. Xiom Zetro Quad Borja power - контрольная ракетка для защитников с быстрой атакой." "Hi Table Tennis ELEVEN! I am very happy to have known table tennis Eleven! Since then I was able to find the best offers in the world, because I tell them to change my racquet to a VS Unlimited Tibhar with two MX-P and MXS tires and I have not done the same again , I have won people that I had not won before, I have even won several times easily, I urge each person to change his racquet if he is not satisfied with his game, first of all by researching what is best according to each need, a hug team!" "Wow wow wow!! 5 stars for tabletennis11. Customer service is second to none. I purchases stiga Rosewood NCT VII blade before Xmas and it was delivered quickly. A+ But the blade is another story. It cracked at the handle after only playing for 5 sessions. I brought to the customer service attention and they refunded me immediately. AAA. Tabletennis11, you have a customer for life in me . Thank you Tebletennis11." 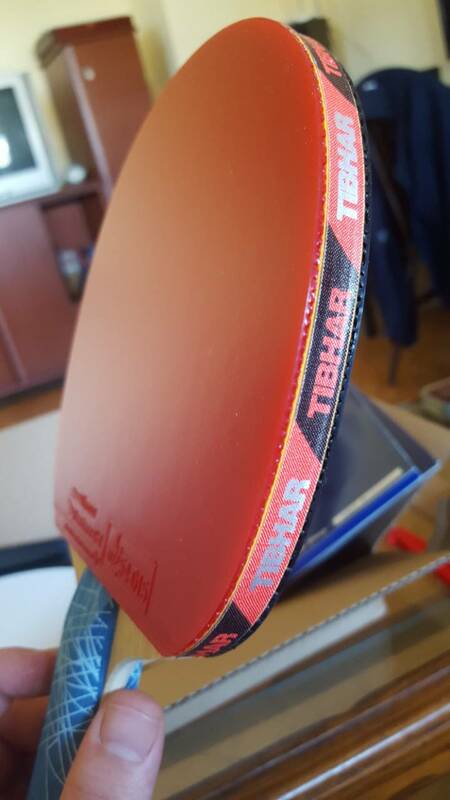 "I had a great experience with Tabletennis11, not only the package arrived on time to Chile but the product was of good quality as well as the assembly of my racquet. Greetings from Chile"
"Great service from TT11! Sent in request to leave 1cm gap after placing order and received very fast reply! Ordered on 31dec and the purchase arrived perfectly on 17jan." "Просьбу-покрыть лезвие лаком и склеить ракетку не выполнили." "Fantastic service. Competitive prices, superb blade/ rubber set up free service. Excellent packaging and super prompt. No problems and instant refund when I mis-ordered items. A joy to deal with. 5 star and highly recommended." "Prompt Service..Just ordered my 2 units of Mark V racket and accessories and in less than hour, I received email that it is already sent via DHL Express. I'm excited to receive my new rackets for spin spin spin....For sure I will be purchasing more items with tabletennis11. More Power!!" "Good service from tt11.com. Nice packaging. I will definitely buy from you again." "Отличный интернет-магазин! Я бы сказал, пожалуй, самый лучший на данный момент! Плюсы: + Огромный ассортимент + Постоянно пополняющийся и обновляющийся ассортимент + Приемлемые цены (намного ниже чем в РФ) + Выгодная для покупателя (ну и наверное для продавца)) система скидок + Еженедельные акции + Бесплатная доставка + Очень быстрая доставка (в РФ, в Сибирь - две недели) + Хороший сервис (сборка ракеток на 5+) + Отзывчивые менеджеры Есть небольшие минусы: - Не продают в РФ продукцию Butterfly (не знаю, от кого это зависит) - Нет скидок на кроссовки (на всё остальное есть) - Менеджеры иногда долго не отвечают на вопросы (бывает и вообще не отвечают) В общем, очень завидую жителям Нарвы, у них такой магазин, как говорят у нас в России, "под боком". Буду рекомендовать своим друзьям и знакомым." ""To start with, a first class service provided with amazing price/discount! I ordered a rackets, which was delivered a bit late due to India Post Office work culture. I would like to thank TT11 for amazing service provided to all Table Tennis players across the Globe. The blade is well assembled ( bought rubbers as well ) and nicely taped. I recommended to all my TT playing friends in India for quality product at good price with great service. Cheers !!"" "Fascinating service - very quick (just 2 days by DHL Express), and all properly packed and arranged! Wonderful, really prompt communications as well. Thank you!" "You know the feeling when something is so good and you want to keep it only to yourself - well it's the same with tabletennis11. These guys are AWESOME! - Very good prices, very good service! I bought rubbers, blade and couple other stuff from them, and I opted for the free assembly service, I specified how I wanted it done and it was done down to the last detail! The quality is extraordinary, the rubbers were cut as a machine cut em out! And they even glued side tape for free. On top of all that, they really did help me out with the price, they saved me additional 40 euros or so plus the discount they provided! Although I waited little bit more (perhaps because of my specific demands) - I can't recommend them enough, really great service, high quality, highly professional." "This is a testimonial/review for DMs Firestorm rubber. Please use my name as "Lee". Thank you. Simply stated, Firestorm is the best rubber I have encountered up to this date, for my playing style. To my knowledge, it is the only currently available rubber with the following desirable attributes: conical short pips, visually arranged cross-wise (vs length-wise), with smooth, shiny tops. I suggest the result is ideal for the close-to-table player, who primarily drives (vs loops) the ball, who desires relative insensitivity to incoming spin, and who yet desires to play all the shots of an inverted. A major advantageous playmaking quality for Firestorm is to be able to generate fast drives against incoming top-spins and most back-spins . . . one merely adjusts blade angle and then fires away. It can block, push, cut, and loop the ball; but driving the ball in most conditions and against all rubber types is its strength. I formerly favored Victas’ VO-102 for its general speed; then I opted for Spinlord’s Waran II for its ability to counter most back-spins with speedy drives. Firestorm does all of this with a less weighty setup, which translates into more speed and quicker reaction for me. I’ve tried 2.1 and 1.5 sponge on several types of blades, with 1.5 on balsa being my favorite due to its speed and light weight. I wish DM issued Firestorm with a thinner sponge, or even in ox, to try on BH. For that purpose, I recently enjoyed using DMs Hellcat in ox. Its straight short-medium pips are smooth and also arranged cross-wise, like Firestorm. Other excellent rubber choices I have used on BH, providing hitting variety to the FH Firestorm, is Hallmark’s Magic Pips and Globe’s 889-2, both in ox. Thank you, DM, for creating Firestorm and thank you, TT11, for your great service. 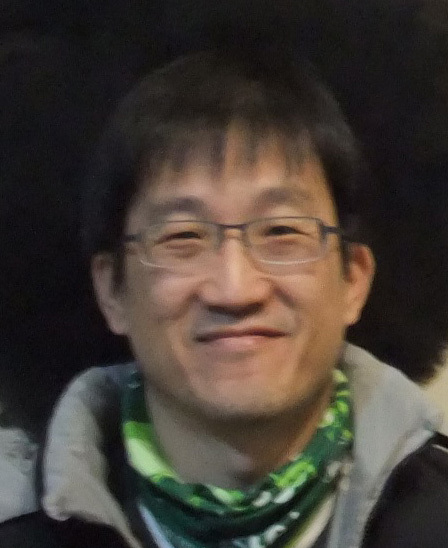 Lee (USA)"
""Awesome site. 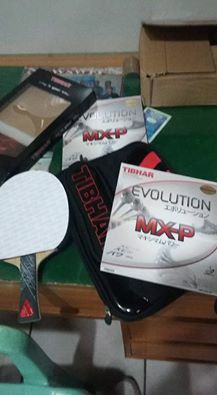 i had Ordered Yasaka Ma Lin Extra Offensive paddle, One Tibhar MX-P red rubber and One H3Neo black rubber. The free assembly was done profesionally and edge tape was included. They shipped the same day and let's not forget it's free for orders over 80€. I am very, very satisfied with the cost and the received product. Will order again for sure." for Product review follow the below youtube Product review link: https://youtu.be/s9CkLJ3NJaQ"
"Great services, very quick delivery and good products to choose. Definitely, I will buy more from tabletennis11." "I am blown away by the speed of there service and delivery. It took 4 days for my package to arrive and that is even quicker than any online store I have purchased from, including the big name stores. Very competitive pricing, if not the best of any online store that I have visited. Brilliant job TT11 and thank you." "Thank you so much. You guys are the best! Keep up the great work!" "Очень хороший магазин настольного тенниса! Работа сотрудников магазина Алексея и Дмитрия более, чем порадовала. Ценовая политика приятно удивила. Заказ был практически мгновенно собран и отправлен. И как написал ранее Майк из США - с огромным удовольствием посетил бы Ваш магазин. Спасибо. 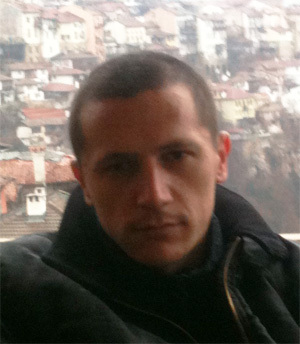 Александр"
"Excellent shopping experience at tabletennis11.com site! Prices were cheaper than all other sites I have searched and the items were delivered faster than expected. Plus, I didn't have to pay for the shipping as my shopping cart totaled over $100. Shop with confidence and enjoy the savings! Thank you tabletennis11.com for the wonderful experience!" "Заказ отправили без промедления, аккуратно упакованным. Товар качественный, большой ассортимент, приятные цены. Работой магазина и полученным товаром доволен." "Ordered custom paddle with racket assembly and other accessories. Package was delivered within 6days to Bangalore,India. This was my first experience with TT11 and I am more than surprised and satisfied with the Impeccable service provided. Amazing!!! I am surely going to refer a lot of friends and colleagues :)." "Shipment arrived much earlier than expect and perfectly in time for a gift to my father! He lost his racket and was in need of another one but couldn't find another good Jpen racket. After I came across this site, I decided to try it and found some good Jpen rackets and amazing rubbers! I bought it with the assembly and everything arrived in just 4 days! I was so surprised to see it shipped that quickly. The assembly is so professional and well done too. Thank you so much for making Father's day happen for us and thank you for the prompt shipment. I will be ordering more for my friends at our TT club when the time comes :)"
"THE BEST ONLINE RETAILER of everything table tennis! Customer service is TOP NOTCH. The best prices as well!. Be sure to sign up for weekly specials. Ordered from here numerous times and shipping to USA is SUPER FAST!. Will be ordering from you guys from now on. THANK YOU SO MUCH for your QUALITY SERVICE. Ordered 2 blades at a requested weight and they made sure to get the weight I wanted. Thank YOU DMITRY. I only wish you guys had an actual store that I could visit. All the BEST! Mike from USA." "FAST, EXCELLENT AND PROFESSIONAL I ordered a complete racket assembling including sealing, everything was done professionally and FREE!!! And free side tape too even though I didn't order or buy it!! Amazing job by tabletennis11! Arrived in Indonesia just 6 days after I made my order. Thanks TT11"
"Great service and beyond! I have ordered blade with rubbers and the set came in perefctly assembled. Every request was honored. Web site has great range of various products, good pricing, and deals on regular basis. Best of all though, are people who make it all happen. Every recommendation!" "Very satisfied. I chose some products, contacted the customer service, got a quick reply, completed the order choosing DHL Express, and in 2 days I received the items. I will for sure come back." "Perfect racket assembly, lightning fast shipping. Exceptional professionalism. Thank you." "Ordered custom paddle with extra rubbers and accessories. Excellent service and shipping was quick. Though I forgot to include edge tape for custom paddle, it came along in the assembled set. Free assembly and lacquering service was excellent." "Awesome site. Ordered Timo Boll ALC and two Tibhar MX-P rubbers. The free assembly was done profesionally and edge tape was included. They shipped the same day and let's not forget it's free for orders over 80€. I am very, very satisfied with the cost and the received product. Will order again for sure." "Excellent service , very fast shipping DHL 3 days to Romania Thankyou tt11 for your professionalism"
"This is a great site to buy table tennis equipment as they are cheaper and aunthetic. i ordered timo ball alc blade and two rubbers 1(evolution mxp -red) and 2(evolution mx-s) which reached in about 6 days.Good delivery services and products." "I ordered 3 custom table tennis rackets with three different combinations of blades and rubbers (both for me and my son) plus some extra accessories. Although the web site mentions one extra day for delivery in order to allow for the gluing service, the order was delivered to Belgium in two working days. All original packaging and proof of authenticity was included. The quality of the workmanship and the attention to detail are outstanding. All items were delivered as advertised on the web site. I do most of my shopping on-line but have very seldom been so impressed with the service (even from big name companies). Thank you very much TT11! You will definitely have my business in the future for all table tennis related items." "I've ordered two custom made paddles from TabeTennis11 so far. The quality is as promised and delivered with in 4 business days. I'll purchase more going forward." "Заказ пришел за 14 дней в отличном качестве.Сразу заказал еще..Рекомендую магазин!" "TT11 is great! very fast delivery!" "I am decided to play Table Tennis again after 25 years of the last time, so I am kind of beginner again. I always used pre-made rackets (Schildkrot, Butterfly,Xuxhaofa) and it is my first try with a racked "made by myself". I choose to buy in TT11 because they have blades and rubbers that I liked for a good price. Also, they offer free Racket Assembly and lacquer, which help me to save money (and the guesswork). I made the purchase on Friday, but in Estonia it was after 7pm, so I had to wait until Monday. When I saw the shipping comes from Tallinn, Estonia I was a little concern because I wanted it for my bd, and maybe the shipping could take more than 10 days (bad yuyu, I thought), but the order was shipped on Monday and I received it next Wednesday!!! I am very impress!! Three days from Estonia to Colorado Springs ... I dream come true. The pkg was very professional and included the box of the blade and the packaging of the rubbers. The assembly is very pro, the racket looks beautiful. I recommend TT1 to everybody, specially to amateurs who like to be treated like Pros. BTW: I saw pictures of Tallinn in the Internet and it is really a very beautiful city. Now I would like to spend a vacation time there!! : D"
"Excellent service , Profesional assembly blade, Very fast shipping." "I heard about this site from friend and its amazing. 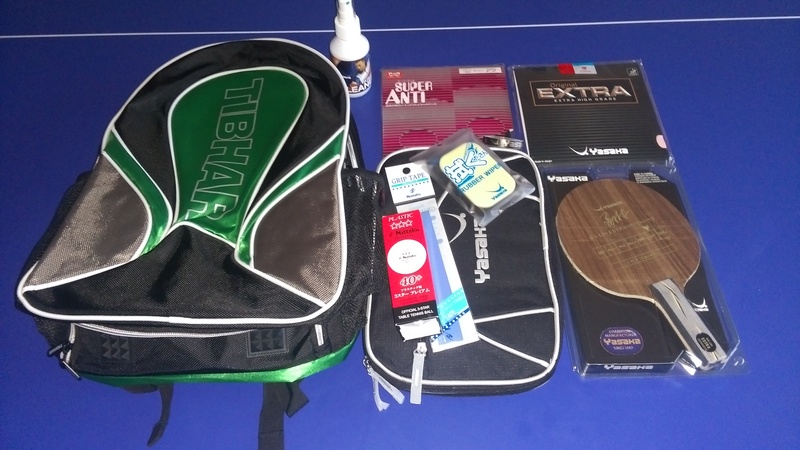 It have everything i need to :-) i love tt11"
"I've used all the online table tennis sites in the UK for years and was rather dubious about buying from tabletennis11. Because they were the only place that stocked what I was looking for, I took the plunge and ordered 1 blade and 1 sheet of rubber which arrived expertly packaged the next day. I was so impressed with their service, their deals and range of products that I then ordered a bat to be made up. This arrived within three days in perfect condition and again expertly packaged. I was pleasantly surprised by the attention to detail with the packaging. If you have any doubt about buying from tabletennis11, I would say give them a try and you won't regret it. Their prices, range of products together with their deals are excellent. I will order again in the future. Suffice to say excellent and very speedy service!" "Table Tennis 11 fulfilled my order accurately and quickly including assembly. DHL also shipped my assembled paddle lightning quick. Ordered on Saturday arrived in US on Thursday. 10/10 for me." "After shopping with you for the second time I think you provide excellent service. Fast and accurate replies to inquires, a very well designed check-out process, very good quality of the items sold, reasonable prices with significant discounts as well as very fast shipping. My last order only took 1 day to arrive. Since you sell material which is often not available in Germany or Europe this provides an extra asset." "I am a repeat customer that makes an order every month or two. I live all the way in the central United States. Quite a long ways from Tallinn Estonia. Anyway, TT11 has nailed every single order that I've ever made and has always sent me products that haven't a single deficiency. As many orders as I have made, I would have figured that there would be at least one issue but, no, TT11 seems to be the exception to the rule. You cannot go wrong by ordering all of your table tennis needs from this company. On top of all that, you will receive the best shipping service (3 days to my door in Kansas City). I venture to say that TT11 is the best in the entire industry. Being an employee of a top online store juggernaut, let me tell you, this kind of exceptional service is rare. I am 100% satisfied with TT11 and am already working on a new order to finally purchase the RoboPong 2050. Thank you, TT11! I appreciate your customer service and fast shipping." "I am amazed by service to tabletennis11.It is the greatest online shop for table tennis products." "Dear TT11, Once again you have fulfilled yet another order perfectly. In the last 6 months I began a quest to own and try out different Donic blades and several brands of rubbers. Along with the orders requesting purchase of blades and rubbers, it has been imperative to purchase a multitude of glue, glue applicators, and of course, the amazing Falco Long Booster. Within those orders, I have also purchased an article of clothing or two...or three. Point is, you (TT11) have never ever made a single mistake on any of my orders, have always somehow managed to get the aforementioned products to my door (in Kansas City) in 3 days time from the moment that the order is filled at your warehouse. That is incredible to say the least! Thank you for such stellar Customer Service, TT11! I am looking forward to doing much more business with you in 2018. God bless and have a Merry Christmas!!" "Recieved my 0rder of Stiga Carbonado 245 ordered on 27Oct 2017. Thank you for your service and concern. But, I have a feedback for you that it will be much better if you could advocate with Indian shipping services to deliver on time. Lastly, I would like to acknowledge your commitment of services." "I was recommended tabletennis11.com by a friend and thought I'd try them. Turns out they are even better than what ppl say!! I got my order delivered in Saudi Arabia in just 2 days especially when compare to other websites. I wish I had known this website earlier. Thanks tabletennis11!!! Keep up the good work and looking forward to ordering again." "Vem por meio dessa, agradecer todo cuidado e carinho com quem compra nessa loja. Vocês estão de parabéns !!! Sem duvidas a melhor e maior loja de Tênis de Mesa do mundo. Os preços são imbatíveis, qualidade dos artigos melhor ainda, grandes marcar mundiais. Sou morador da baixada fluminense, e quem diria que uma loja do outro lado do mundo entregaria produtos do esporte que eu amo no portão da minha casa. Hoje em dia, eu consigo adquirir os mesmos equipamentos que os melhores jogadores do mundo usam. 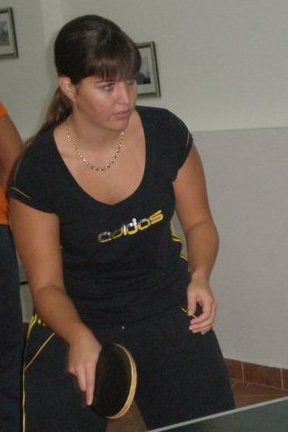 Mais uma vez muito grato tabletennis11!!!!" "Mentioning a word about Tabletennis11.com, this is a perfect place for all the TT players in the world to get to know about new equipment and purchase their products for a satisfactory price, especially customizing a racket from this site is the perfect choice because Tabletennis11 is a trustworthy site and their products are of the highest quality with a perfect finish." "Two orders,two weeks in a row,both placed Tuesday mornings NZT (outside tt11 work hours) I cannot understand how I can receive each parcel early Friday afternoon,from Estonia,unbelievable.It takes that long to get something from our South Island to our North Island. tt11 have been the best overseas company I have ever had dealings with,period. Pricing is competitive,freight is inconceivably brilliant, and FREE if you spend over 80euros (about the equivalent of 1 sheet of Tenergy in New Zealand) and the variety available is stunning compared to what's available here. I can't comment on communication,I've never had to contact them.In the time I've been using them,never had a complaint,never had a problem. I thought TtJapan and Iruiru were good,tt11 are better(if they have your particular requirements) Thankyou tt11 for your professionalism." "I placed an order for 7 items last week Wednesday, payment was secured and confirmation of order was received immediately. I received my order on Monday afternoon and the prices of the products were reasonable and service was excellent, will definitely recommend them. Thanks"
"Ordered the Nittaku Acoustic Carbon Inner (lg handle) and it arrived in New Zealand In only 7 days! Incredible Service! Blade plays soft and slow until you increase your swing speed which engages the wood and carbon layers and pushes this blade to high off- / lower off speed. Control is excellent with the large sweet spot and woody feel making it easy to block and push, whilst still retaining some flex and hardness for your looping game. Large flared handle was too short and not very big or flared so I still used some grip tape.I would highly recommend this blade to an offensive topspin player or even a good allrounder as it gives you high performance with great ease of use. Tested with Rasant Grip F/H and Donic JP03 B/H." "Hey all, order 5 items on Thursday and everything came in Friday. Excellent service the products came as described in perfect condition. Very glad I've ordered from you guys will definitely shop again." "Another perfect transaction from TT11. I ordered on Monday, product arrived Thursday. Even though my delivery was scheduled for Friday. My delivery is always early, and always perfectly packaged. The quality of products is top notch, and customer service is even better. If you haven't purchased from TT11, I urge you to start. If you need a custom build, the quality of their work is perfect. They will suggest your best combo, and then expertly build it. They carry almost everything and their prices are more than fair. I would pay 20% more for their customer service alone. They are the real deal. Thank you, TT11 for making me feel like I am your only customer." "I left a review about TT11 after my very first order from them. I was shocked that A) my order was correct and not a single missing item B) their service and prices are better than any place within' the USA! I work for a large .com (multi-billion $) organization and I cannot boast that we have as good as shipping stats as TT11. If you live in the United States and are on the fence as to whether or not you can trust a company that is so far away, I say, get off that fence and order from the fine folks at TT11, you will not be let down. Service from Estonia to KC in 3 days. You just cannot beat that!" "Donic Z1 is the best rubber for FH ..it's a monster.. fast.. spinny .. good control. and will be good with any blade. not recommended for BH if you play save. Thank you TT11 for fast shipping." "Bravo TT11! Your service is impeccable. Your advice and quality of work was perfect. 5 days from order to receive is astounding. Estonia to Utah including the assembly of my new racket. Wow! You have my business for life." "Very good service,very good quality, thank you so much!" "5 Stars! The Donic Bluefire M2 is incredible! I am using them with the Donic Waldner Senso Carbon on both sides (black & red). I normally boost my rubbers with Falco booster but, I wanted to see how they perform without a booster. I was super pleased with the results. I immediately went to use them playing some of the best Table Tennis players at work and the M2's led me to success. I absolutely annihilated my opponents, 11-5 / 9-11 / 11-5. Thank you Donic and TT11!" "Table tennis 11...best prices...good selections...super fast delivery...Ill buy from table tennis 11 from now on..way better service, prices, and delivery time then paddle palace...j-top balls are alot cheaper here too...thanks guys...keep up the good work...we appreciate the extra effort AAA+++!" "Excelentes productos!!. El tiempo de entrega fue el prometido. Totalmente satisfecho con la compra." "I placed an order a barely 3 days ago and Table Tennis 11 had my order to my door in central United States (Kansas City)! Initially, I was going to order within the U.S., however, after reading all the stellar reviews, I decided to give them a shot. I could not be happier with the service that I received. Every single product that I ordered was carefully placed inside a box and protected from potential shipping damage with quality bubble materials. Thank you, TT11! I've already placed another order and look forward to having a positive business relationship for years to come." "Shipping was fast with DHL. I've ordered five times at tabletennis11, usually takes less then 5 days to arrive in the US. The products are carefully packaged to prevent damage. Also the products are authentic. In my first order, I made a mistake and had to cancel it. I emailed customer service and the order was cancelled next day. Overall very good experience so far." "Just got what I ordered this morning..It took 19 days but I'm glad it didn't took longer. I'm happy to have my 1st tt blade from you guys. Good quality and I'm satisfied with the service so far. I'm definitely gonna order again next time." "This is my first time I buoght equipment at this shop and everything went fine. Blade and rubber arrived for about 1 week to my adress ( it's very fast ), and communication with admins was smooth. I'll continue shopping at this store, greetings from Serbia ;) --- Ovo mi je prvi put da kupujem opremu preko tt11 i veoma sam zadovoljan i sa opremom i sa komunikacijom sa adminima, a najvise me iznenadila brza isporuka. Sve je stiglo za 7-8 dana. Definitivno nastavljam da shopingujem kod njih, pozdrav svima iz Srbije ;)"
"Ordered Spinlord DEGU 1.5mm and I received it in 6 days. Fantastic price service was able to track delivery. I will definitely be using TT11 again." "Great communication and super fast delivery. Great authentic products and I highly recommend. Packaging is great. For out of the country, Tabletennis11 is the place to shop and yet your products! They carry so many selections of brands and carry authentic products that most of the table tennis companies don't carry. Thanks so much for such great products a great communication and transaction!!!" "You'll never go wrong with tabletennis11. They're a great team. I got quality products from them and communicating with them has been wonderful. I did specify a range for the weight of the blade I ordered and they emailed me up confirming what they have available before shipping it. I also did a few inquiries with them before ordering and they have responded quite promptly. They also have this satisfaction guarantee which will definitely address your concerns with what you got. With all of these, I don't think I'll be ordering from anywhere else." "The MX-P is a excellent rubber. I played with it in a Ludeack power and now with a viscaria. On viscaria behaved much faster and with a softer touch compared to Ludeack power. Is powerful and has a very good spin as good as 05 but a bit less arc. I recommend. 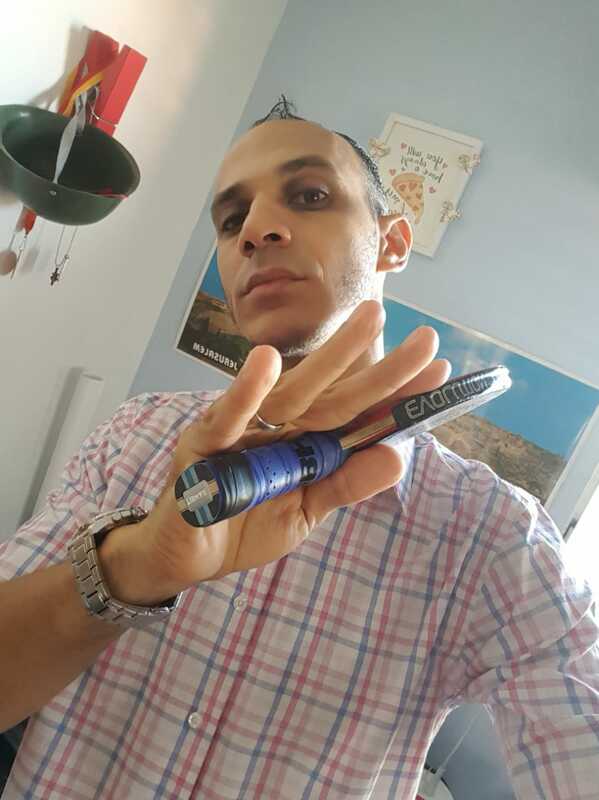 Gil from Brazil"
"A Chinese coach on the YouTube, Emratthich, which I follow because of his TT knowledge and free advice, has recently used TT11 who sponsored him to give away a number of blades & rubbers to his followers. A very generous act. This prompted me to place my order to them. I was glad to receive it in 5 days at a price I couldn't obtain locally! Highly recommend them to anyone in table tennis world." "Thank you for the fast delivery, have several times bought the parcel worth more than 250 euros, and when you open the package, pleasantly surprised, as tabletennis11 gives gifts. The quality of the product does not give reason for doubt. Will be ordering more. Thank you for your work." "10/10 would buy again. I am a triple repeat customer, beautiful racket assembly, packaging, shipping ,price." "Two Words: Highly Recommended 1) Packaging: Professional. No dent or torn when it arrived. 2) Blade Assemble: Highly Professional and flawless 3) Transportation: less than one month since Brunei is far from Estonia. Its actually pretty good for standard shipping since my other things that I order from other country will usually take 3-4 months to arrive. I will definitely buy Table Tennis materials from here again." "Thanks to TT11 team for their professional approach and understanding!" "I have received Tibhar Balsa Fibretec 75. Besides the nice blade I also received a gift. Thank you!!!" "I've been using Spinlord Keiler for a little over a year as my go to rubber for my backhand. It has allowed me to have a really versatile backhand, depending on the technique I use I can produce anything from a flat counter against topspin to a quick counterdrive stroke to disrupt my opponents timing. I'm a left handed player, so I get to use my backhand a lot against more experienced players, and Keiler doesn't let me down. Giving me the ability to block, counter, roll, and even a semi-loop ball off of chop is possible. The ability to change pace and spin on shots against a wide variety of incoming spin is what I enjoy the most about using this rubber. I'm playing with the 1.8 mm at the moment, although I have also tried the 1.2, 1.5 and 2.0. The quality of the product has been great from sheet to sheet. I would recommend the thinner sponges if you want a flat, more block oriented game, and the thicker sponges if you prefer to counter and use a little more spin on your strokes." "Excellent customer service! These guys are on point with their communication and they always meet your needs. I ordered a blade with two rubbers with their Free Assembly Service and man does it look great. Looks very professional. They even left a gap for my cpen grip as I requested it in the purchase page. Will be my go to website for all future products!" "Ordered Tuesday night, received on Thursday!!" "Купил на сайте Nittaku Basaltec Inner. Сформировали и доставили товар просто за считанные дни. Я был в восторге от такого сервиса. Большое спасибо ребятам за такой подход к своей работе. Хочу сказать немного об лезвии Nittaku Basaltec Inner. Отличная ручная работа. Даже не хочется из рук выпускать. Контроль скорость всё здорово,но вибрация лезвия для меня подводит. Играл им ровно 10 дней и вот результат. Справа просто супер Слева бревно. Прежнее основание которым я играл Butterfly T.BOLL ALC. Я решил вернуться к нему. Это мнение моё личное и не кому его не навязываю." "Ordered 3 Sheets Xiom Omega V Pro on specials. Items delivered/received in 4 working days, that's from Estonia to New Zealand! This is so awesome! Thanks TT11. Keep it up." "Outstanding service and very fast oversea shipping. Their racket assembly is top notch. We recently bought a table for the office so now employees want to play. I am telling all my colleagues to shop at tabletennis11.com to get equipped. More orders to come! 100% satisfied. Thank you." "I ordered the SpinLord rubbers on the website (Estonia) a Monday at 2:33 AM, they came in the next day (Tuesday) at 5 PM via DHL. Unbelievable!!! I did not remember I asked for OVERNIGHT shipping. Last time I dealt with a local USA SpinLord reseller, it took him 4 or 5 months to get me the rubbers. I was not happy... I am so glad I found this website on the internet!!!! Thank you!" "Ok I ordered my first brand new blade and rubbers from these guys and I am very happy with it and they even set up the blade how I asked and it looks and even feels amazing glad I ordered from these guys and more to come in the future." "I bought a bunch of rubbers to test in various blades including the PG7 blade. Coming from ALC blades, the PG7 took about 2 hours to adjust to. The scale of input force vs output is different from ALC blades. Once adjusted, I can play pretty well with this blade and most fast attack rubbers. My favorite paring is MX-P forehand and Rasant Grip backhand. The throw angle is a bit high with these combo, and the resulting ball trajectory is fast and curvy. Control is excellent. Soft block and pushes results in short balls, and fast swings results in skinny loops and fast smashes. He fastest ball seems faster than ALC blades with the same rubbers. Very satisfying for such an inexpensive blade." "Excellent service and fast product delivery, Better pricing than I can get in my own location. Will be using for other future purchases, and will definitely recommend to other friends and players. Thanks." "I've placed a few order from tabletennis11.com now, very fast service, great job. I just received a few paddles that I had tabletennis11 assemble. Very good quality. I tell everyone interested in equipment to order from here. Shipping to the US in less than 5 days is amazing! You guys are awesome!" "очень высокое качество товаров и неповторимый сервис:)"
"Thank you guys for such high-class service! From Estonia to Moscow - 5 days it's insane! Very fast delivery! And the quality of products! I'm happy! Thank you for cool complimentary gift! Best TT shop i know! :)"
"I'm very happy of my Blade.. very good Service and the best Price with a very fast shipment!!" "Wowwwww. Placed my order on Thursday and supposed to receive it on next Tuesday.i got it one day earlier (Monday). Beautifully packed. Got free shipping due to over $100 U.S. worth of order. Got 10 percent discount as well. On top of that their prices are cheaper than the others. I'm impressed with the service and discount. Thank you soooooo much. Will recommend you to everyone and definitely order from you again. All the best." "Very satisfied with the service! What a fast delivery and perfect racket assembly work! No doubt will buy again.Thank you very much!" "Хочу поблагодарить команду tt11 за сервис. Делал заказ уже второй раз. Остались только самые лучшие впечатления. Отправка товара происходит на следующий день. Доставка в Россию (г.Калуга) занимает 10-14 дней. По номеру легко отследить, где находится посылка (как по Эстонии, так и по России). Товары приходят в самом лучшем виде. Очень, очень радуют цены. Буду обязательно рекомендовать друзьям!" "I am very happy with my purchase and the service. Very professional and shipping is fast! Tabletennis11.com is highly recommended!" "This is my second order with TT11, excellent service, professional & neatly assembled paddle, with a good quality edge tape. Ordered Vega euro blade with Evolution rubbers, was delivered by DHL in four days ! definitely recommended"
"Hi all. This is Manoj from Kanchipuram, India. I had recently placed an order on Tabletennis11 dot com for my favourite TT goodies. I got an awesome discount on the blade, which made up for the shipping cost, and also I could add some accessories to the order. I could also make the payment with my existing bank account without having to go through Paypal / any intermediary. The order was dispatched the very next day. The package spent 5 days in Customs Department, India. Even including that delay, the package reached me in 12 days. I'm very satisfied with the products and the service. I would highly recommend tabletennis11 dot com to all my fellow TT enthusiasts in India, especially the weekly discounts and 4 for 3 offers are unbelievable. Cheers!" 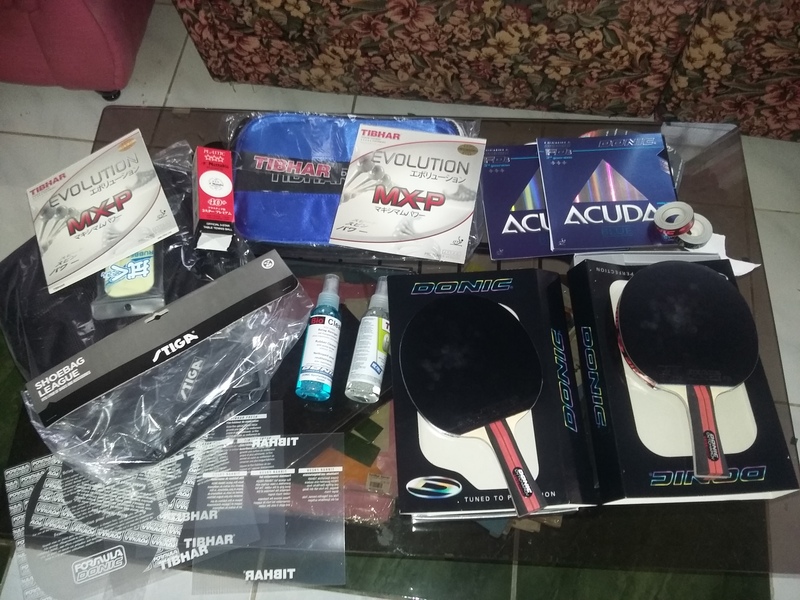 "I ordered the Nitaaku trefire penhold blade + Andro rasant powergrip + FREE racket assembly and lacquering. I am definitely a very satisfied customer, the job done from the detailed assembly of the rubber and side tape to the packaging and shipping was very professional and one of the best I've seen. I will never buy from somewhere other than Tabletennis11.com Thank you, your loyal customer, Charbel Fayad"
"I am so overjoyed at receiving my racket (Persson power Speed and TSP Ventus Spin) in a record three days. it has given me more hope to get back onto the table and practice again. Thanks to you TableTennis11... You get a 5* for that service from me!" "Excellent service. Every thing was right the assembly of the blade was the best i have seen, very simple website very good prices. The order arrived on time like said best table tennis sho period. I highly recommend it." "Without a doubt THE best online table tennis equipment supplier i have every used in 10 years of buying equipment online! I've used Tabletennis 11 before but this time i just have to leave a reference. I ordered a blade and rubbers late on Wednesday evening from Australia, when i woke on Thursday morning there was a tracking number waiting in my inbox telling me my order was on the way. By Monday morning i had the items in my hot little hands!! and i'm sure if there hadn't been a weekend in between i would have got them even earlier. Incredible considering they are coming from Estonia to Australia!.......Items have taken much longer to arrive when i've ordered them from within Australia!! Also i have to mention that I also received a 30% discount on 4 x rubbers and blade which made the price over a third cheaper than i can get online from Australian suppliers. Absolutely no doubt in my mind who i will be recommending to all my table tennis playing friends. Thanks"
"Tabletennis11.com is fantastic!!! Great qualities of the items yet they are cheaper compared to other companies and shipping is really fast! I did my first order just a few days ago and I was amazed to receive the items today. That was really quick considering it came from outside the US. Thumbs up!" "Well thank you for your excllent service that was given and looked after me Pluse the rubber and rackets well excllent and I am happy with it and love it any way I have given 5 stars for every thing keep it up thank you from Altaf ." "Ordered my Donic bat with two rubbers Friday. Rubbers wer glued to the bat and order posted to country Australia same day. Bat arrived before lunch Tuesday. Amazing. With ten percent discount and free postage with DH L Tabletennis 11 are the best table tennis. Retailers in the world . Thank you so much. I will also leave feedback on the bat after testing"
"I places my order on Friday evening with an estimated delivery date for Tuesday. It came one day early. It was shipped within 6 hours. I'm very impressed with the fast service. The racket assembly was professionally done and looks great. The automatic discount is wonderful and the complimentary racket bag is a nice cherry on top. I'll recommend your company to all of my friends. Thank you for being so awesome. " "I'd like to recommend tabletennis11 as one of the best tt equipments seller for their prompt shipping anywhere in the world. At first, I was hesistant to order online coz I have no idea if the site is authentic or not but out of curiousity I tried once and until now i am still a regular costumer. Guys go and order now." "ABSOLUTELY AMAZING, I'm not a huge online shopper but I needed to get a clamp for my bat. I stumbled upon this site and I'm so glad I did! I placed my order on Friday night at 6pm and I received my goods Monday at noon. This absolutely blew my mind picking packing and shipping my order to Australia from Estonia in 2.5 days (awesome price as well) I've told all my friend about this site and ill definitely be back here when I need rubber. cheers Ulisses"
"First time order from this site. Heard that this is a very reputable one, and it is indeed. Good delivery service (about 4 days) with informational DHL express tracking (quite accurate). Nice and decent packaging and presentation of the whole thing. It's a 5 out of 5 for tabletennis11.com. Regards, Son"
"Placed an order on Monday late night and it's arrived perfectly on Thursday afternoon....great service"
"What a Nice Blade!!! What a Great Price !! What a Great Team!!! Thank You TT11 for Awesomeness Hugues"
"Great Experience. . . .!!!!! This was my first experience of ever to purchase anything online. It was great deleiver all the way from Estonia to Lahore Pakistan. DHL took custom duty paid by them But tt11 compenstaed that with handsome bat cover. Quality and performance of rubbers and bat still to be tested." "First time to order from TT11. Received the Force Pro Black Ed w/ MXP and ELP rubbers. Well done on the assembly. Neat and properly packed! Received the item on time via DHL Express. Will definitely order more! More power and Thanks TT11!" "thanks to tabletennis 11 yuo are very professional"
"I have a regular customer of table tennis 11. Your shop is one of the best shop. Last order I place 26.12 and I receive 04.01. Your packing is very good . I love table tennis 11. You are best out of best ." "I recently ordered a new blade and rubber. The prices were unbeatable and my order arrived extremely quick. Unfortunately, it was badly damaged by the shipping company. I told Table Tennis 11 what had happened, sent them a few pictures, and they had my replacement to me in 1 week! The quality and assembly of the product were both top notch. Thank you for the outstanding customer service!!" "Лучший магазин! Прекрасные специалисты! Прекрасные цены!" "I have been a regular customer of TableTennis11. My last order arrived fast, nicely packed and I got great discount, so many thanks for that! So I have all the best to say about TT11.com store, stay like that in the future, I will gladly continue to shop from you. Till my next order, Bye Dino"
"You are the best shop in Europe, with kind customers service, big disciunts, free shipping. All that we need to order again and play table tennis. Thank you for the experience of buying and i wish you all a Happy New year!" "I ordered for the first time in this store and was pleasantly surprised by the quality and speed of execution of the order, and most importantly very nice prices. Special thanks for the show. Now I'm your fan, thank you very much." "I have never been moved to write a review before but could not miss this opportunity! I recently purchased the Donic Waldner Dicon J O Shape, a notoriously difficult blade to get hold of these days but still revered for its other worldly touch and feel and its connection with arguably the greatest player to ever walk the earth! Because of how rare this blade is now, there have been speculations that TT 11 were not selling the genuine product. I am writing this today to say that the quality of the product I received was of the highest quality! The service was ridiculous! Ordered on the Sunday and in my hands by Wednesday !!! It came from Estonia to England in three days, take that Amazon!!! The rubbers they put on were immaculate and the blade is the best I've played with. I have nothing but great things to say about this company and will be using them for all of my stash from now on. Please don't ever stop selling this blade. Along with the great man himself it should go down in history as one of the best. Kind regards Danny"
"Perfetto! In 3 giorni ho ricevuto la merce! 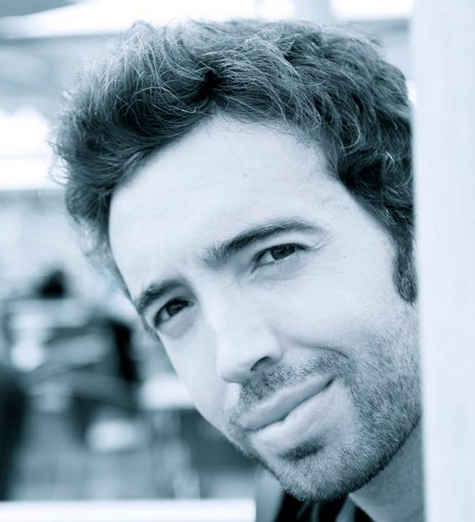 Grande! Perfect! In three days I received the articles! Great!" 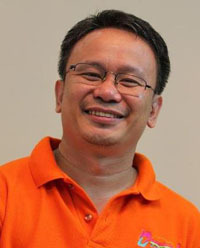 "Hi tabletennis11.com. this is my 2nd time to order.. wow!!! Want to thank tabletennis11.com. when i ordered this items i made a mistake on shipping method. I immediately contacted tt11 to ask to send my items via dhl.and they did send my orders via dhl. Very good communications!! And the best part. I DID NOT PAY ANY CUSTOM FEES when i received my packaged and im surprised!! reccomended for purchasing tabletennis equipments!" "After several orders placed and receipts of ordered blades and rubbers, the services offered by this Estonian company is excellent. All products were shipped out on time with tracking numbers and arrived within time frame as promised. Good prices and service ! Recommend to all ping pong fanatics !" "Excelente servicio, materiales de primera y llegó en solo 5 días. Muchas gracias por la eficiencia en su servicio TableTennis11 y los muy buenos precios; definitivamente la mejor tienda virtual, saludos." "I made the purchase on 24th evening. TT11 shipped on 25th and I received the items in the evening of 27.10.2016. Now that is what I call a perfect service. The Customer Sevice was v quick to reply my various emails and a big thank you to Michael @ TT11. The best online seller that I have ever come across...Keep up the good work!!" "hello tabletennis11. 1st time customer here! thank you! nice product and Good quality. fast shipping and good customer service. highly recommended for purchasing table tennis equipment . packaging is also very good. more power to tabletennis11.com." "Great blade with unbeatable price. Excellent service from Tabletennis11 as always. Thank you very much. I will definitely purchase more stuffs from you guys." "Very fast, good price,profesional and excellent service. My order 11 Oct 2016,13 Oct 2016morning have recived it.Thanks tabletennis11 team for great service!!!" "This is what I call perfection in service. Excellent , keep your classy way unchanged overtime"
"vse super dostavka 2 dnja. All super, shipping 2 days!" "Excellent store, I strongly recommend buying at TableTennis11. Really good packaging, arrived in 25 days with normal shipping. Probably I will buy more products! Loja excelente, recomendo para brasileiros." "Great site for purchasing Table Tennis equipments! !Offers Original products(found many fakes in other sites) at cheaper prices.Delivery time is about 4-5 days.Statisfied customer!" "Hands down The best place to buy anything related to Table Tennis i have ordered twice as of today and i am really really pleased by your service.Both orders came within a week with DHL.All the products were original and nicely packed.i Recommend to anyone all over the world"
"TT11 is amazing! It only took 11 days for my orders to arrive. I am from Philippines and I'll tell you all, delivery in this country is slow. Delivery within the country takes up to 7 days and delivery from outside the country can take up to 1-2 months. But TT11 made it only in 11 days! You guys are amazing!" 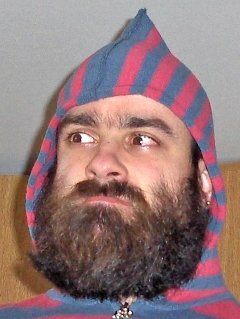 "Je suis tombé sur ce site par hasard, habitué à acheter sur wacksport. J'ai passé une 1ere commande et une 2e 2 semaines après, parce que je suis très satisfait de la qualité, du délai, de plus les rabais échelonnés sont intéressants. merci TT11"
"I want to say this: THANK YOU TT11. I have been purchasing from you several months ago and it is been great. Excellent brand and product quality. Deliveries always on time and accurate. You guys offer confidence when buying. I hope you keep going and growing." "Excellent work guys ! I had ordered vega pro rubbers with a septear blade.the blade was assembled exactly as I had wanted and the whole transaction process from order to delivery was very smooth.ther response to queries is very prompt and i would recommend these guys to anyone thinking of buying a paddle." "It's great pleasure having been received the rubbers(DHS hurricane 2.2 black, red and yasaka 7 soft ) well in time ( Dispatched on 29/6/2016 and recvd on 9/7/2016) at Rishikesh. I had read many favourable revies for this site and then went for it. Unfortunately they do not deliver butterfly and Donic blades to India. Recommend to all TT enthusiasts." "It is a big pleasure to order my tt equipment needs from this site. Quick delivery, carefully packaging, best prices and reliability! What else can be expected ?" "Materiale arrivato molto celermente, inballato in maniera eccellente ed in ottime condizioni. Grazie e complimenti per la serietà nello svolgere il vostro lavoro." "I ordered from them after searching around on many different sites. 3 main things stuck out to me. 1. The excellent prices! They have unbeatable prices which make buying the equipment you want much easier. 2. Excellent customer service. I called and they heeled me sort out all of my concerns and get the information I needed. 3. The shipping was incredibly fast. DHL told me the package would be delivered Monday and the package arrived the Friday before. 10/10 for Table Tennis 11. Whenever I decide to purchase more gear I will buying from Table Tennis 11. Extremely Impressed." "Simply "thank you, guys". I have done 2 purchases so far and I have none negative observation. All items arrive quickly and customer service is excellent. See you!" "Great service! Very nice package and fast delivery. Thanx for the nice gesture. This site is not only best table tennis shop for me, but also best ever online shop!" "Очень быстрая доставка 5 дней и уже в стране и еще 3 дня на нашей почте лежала. В целом довольна товаром, но на некоторые товары цена была очень завышена так как они желали быть качеством по путче. Спасибо большое ТТ11 надеюсь ещё буду у вас заказывать." "Great customer service! Thanks for your attention to details and prompt shipping to Southern California! Every order has been accurately processed and quickly delivered. The SMTTC is grateful! Keep up the good work!" "The shipment took ony 5 Days, wow, thanks again, nice products from stiga and xiom :) Thank you again"
"I usually do not leave feedback but this is not bad at all guys....only 5 days from placing the order, shipped to Perth, Western Australia.Best parcel tracking I came across so far. Quality of goods very high, as expected... Will certainly recommend you as 5 star, cheers." "Received my order on time, good products, happy with the info update. i will use this site again for my next purchase. Thank you"
"The racket is awesome amazing..no word to describe. And Delivered to Dubai from Estonia in just 3 Days !! wow.. IM A CUSTOMER FOR LIFE. Rates are best you can find anywhere.. Hope these guys continue the same ahead Cheeers !!!" "Сегодня получил посылку. 19 апреля была отправлена, уже сегодня 26 апреля получил. 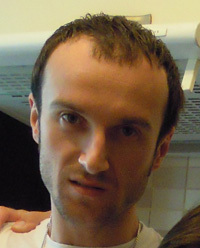 Супер скорость доставки. Браво коллективу Tabletennis11. Порадовало содержимое заказа. Помимо моего заказа, мне в качестве бонуса отправили бесплатно подарки в виде воздушного шара - теннисный мяч, плакаты, да еще и кейс для ракетки DHS. Я просто в восторге от сервиса, качества товаров - 100% оригинал, да и вообще работы обслуживающего персонала. Спасибо магазину Tabletennis11, так держать, побольше клиентов, дальнейших успехов! Всего самого доброго!!!" 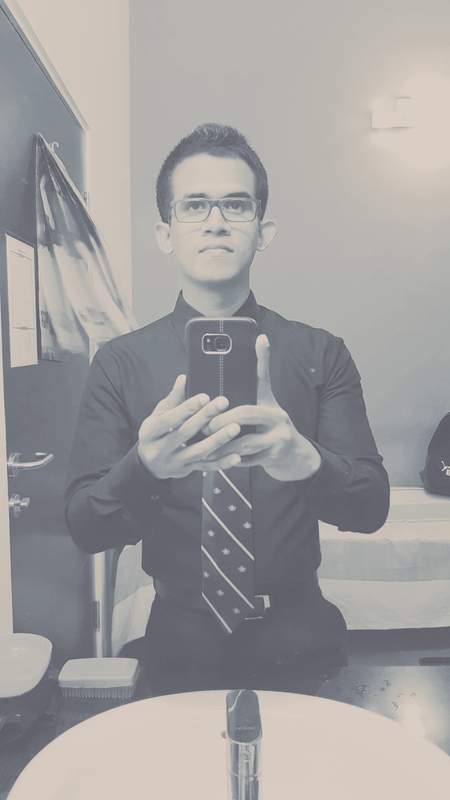 "I have to explain my wonder from the good of service this respectable CO offered, i am really enjoyed my work with you, very good job and keep it up." 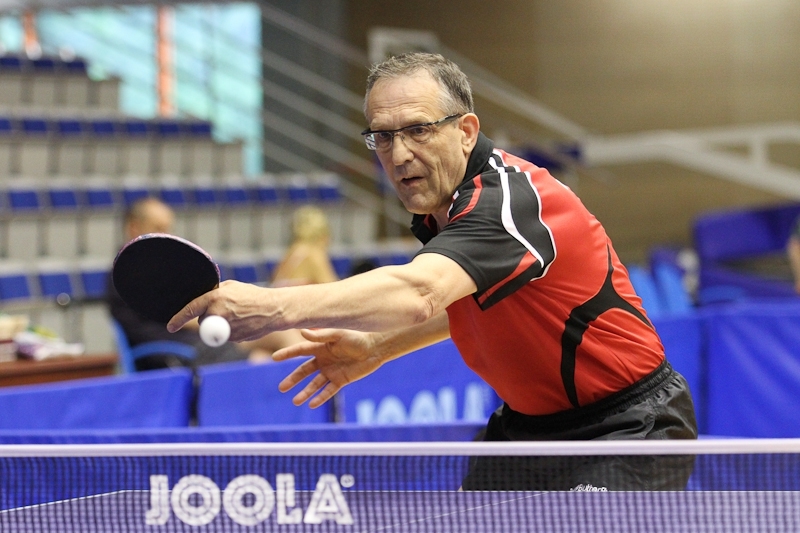 "TT11 is my go-to choice for ALL of my table tennis equipment. The customer service is unparalleled. Friendly and knowledgeable staff are ready to personally assist you with any technical questions. Best prices on the planet: seriously! Orders are processed within a day and it's always received within 5-7 days. Amazing considering I live 9,100km away! You guys rock!" "Thank you for very fast delivery by DHL.Only three days to Croatia." "Заказывал накладки Нитаку Флайт Софт пришли очень быстро. Цена супер качество супер скорость супер обслуживание тоже супер"
"как всегда-все отлично,качественно,быстро.покупаем только здесь As always , everything is fine , quality , bystro.pokupaem only here"
"third purchase in this store and each time amazed at the quality of service and speed of delivery , all items original and luchshie.spasibo , keep it !!!" "Hey thanks for the superb service. Great prices. 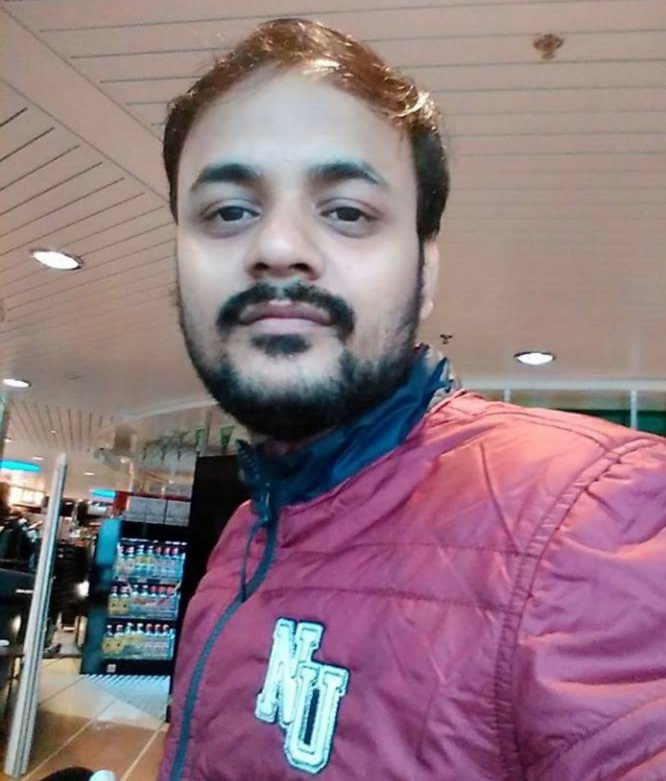 I got the products delivered in less than 6 days to India." "High imrecived the Joola in couple of weeks and it was fast and it was given good service that why I buy things from you and I will keep on buying it because of free shipping . 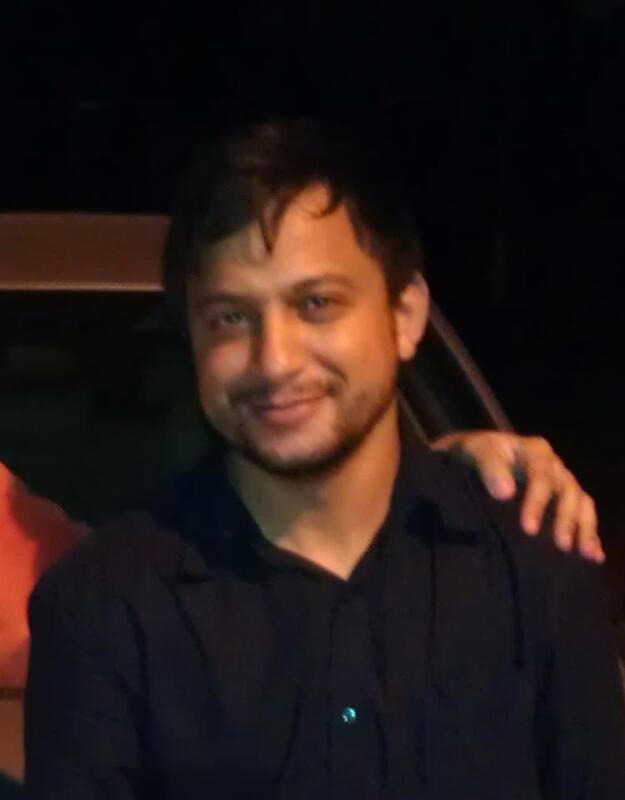 Altaf .ps that's why I give 5 stars for good service ." "Unbelievable!!! I ordered March 22 and received my order on March 25. Estonia to US that fast WOW!!! This will be my default site to order all my Table Tennis needs. Keep doing what you do. TableTennis11 is AWESOME!!!" "My first order at Tabletennis11 was more than satisfactory. I was suprised by the quick delivery and the nice Quality when it came to me. I ordered a Hurricane Long 5 bat, a Hurricane 8 rubber and a Tinarc 5 rubber. So I asked Tabletennis 11 to assemble it for me and it came in a very top of the range quality. High praise to the TT11-Team/Staff. I am more than sure that in future I'll become a regular customer from now on. And again a big praise for the very clean and very fast work by Tabletennis11. Best regards, -Sam from Luxemburg." "Большое спасибо интернет-магазину Tabletennis11.com за возможность покупки инвентаря для настольного тенниса. Большой выбор, быстрая доставка, высокое качество. Никаких претензий к продавцу. Небольшая просьба: 1) выкладывать подробную линейку размеров на спортивную обувь по фирмам-производителям, чтобы было легче подобрать нужный. Еле-еле попал в размер :D. 2) Писать страну производителя инвентаря, т.к .бренд и реальная страна производитель две разные вещи. А в остальном -- ВСЁ СУПЕР!!! УДАЧИ И ХОРОШИХ КЛИЕНТОВ." "I bought the first time on this site --- and I'll tell you I was pleasantly surprised by the work of well-functioning team.Attention to detail buyer, gifts, fast delivery, weekly specials ---- well ---- and most importantly the price they are the best in the world.Do not even think to look for anything about table tennis elsewhere.TT.11---Oscar in table tennis.Сonvey greetings to Alexander---how he withstood me.Of course recommend to buy here--best regards guys.Thanks"
"Just awesome service from tabletennis11 team...I ordered my first ever custom made racquet and got delivered within 5 days..all d way from Estonia to India..Great packing..Great assembly!..Thanks to the team once again." "Sir , once again thanking you for giving very best service to me. My order No. RR310993220EE of dated 04/03/2016 has received at my home address Pune , Maharashtra India on 14/03/2016 , with in 10 days from booking , in good conditions. Ordered material found ok and original quality . I also informed regarding your good service to my friends who have been purchased T T Material like Rubber , Blades from your site recently Mr. Suraj Bhan . Mr. Gole Pune , it is due to only your best and confidence service offering to the customer of all over the world . I pray that your business will grow more and more and very popular among the world . Thanking you. Yours faithfully -- Arun Waje , Pune Maharshtra , India." "Dear Friends from Table Tennis 11 It’s a pleasure to be your costumer, and I'm always recommending tabletennis11.com to all my friends im Brazil. Over the last few weeks I and my friends spent more than $1.000 USD on your store and we hope to keep doing that. " "Amazing service. My order got to Panama in 3 days...unbelievable!!! 100% recomended!" "2 days to arrive at China! Customer support is very nice to pick up right weight for me. Thanks for your timely and professional support!" "2 days from Estonia to Hong Kong? How's that even possible? And for FREE? That's totally RIDICULOUSLY awesome!! You guys are GOOOOOD!!" 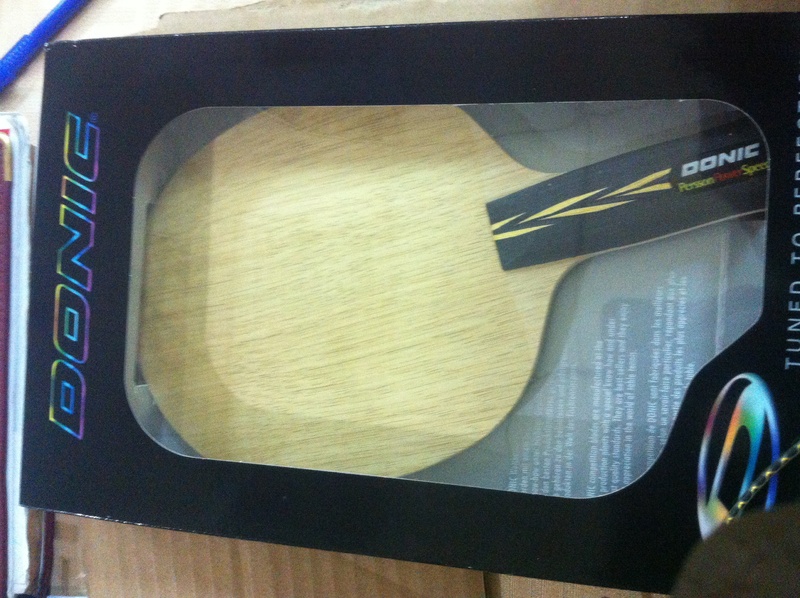 "First time ordering from tabletennis11.com and am very pleased with this experience. 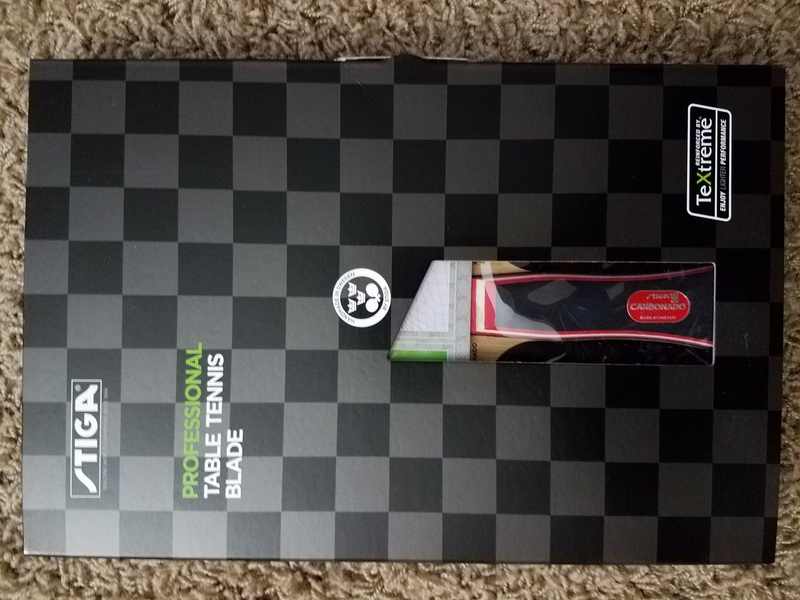 Purchased a blade and rubbers along with the gluing services - upon unboxing, noticed that racket was placed back in original box along with the original rubber packages. Other items, including other pre-assembled rackets, ball, accessories, etc. were carefully placed in box with ample bubble wrap provided for protection. Real attention to detail. I will definitely order from their website in the future!" "This is the second time I purchased something from tt11. Quick delivery--6 days from estonia to turkey-great packaging, quality items and friendly staff. I feel lucky to have done business with you. I am also glad that there are so many people satisfied with your service all over the world. You are making table tennis a lot more enjoyable for everyone. Thak you one more time. See you next time." "I am extremely pleased to have bought my table tennis equipment from you. Great service, great blades and rubbers, great value for money. I will not hesitate to shop with you again and I will tell my friends, Mike Wells"
"I just want to thank you about my last order, everything that I asked you was attended, after this shopping, this site is my 1st website for table tennis materials, Once more thank you. All the best, Roberto." "Franchement vous êtes les meilleurs ! Service au top , livraison en moins d'une semaine d'Europe jusqu'à l'océan indien ! En plus que les prix sont vraiment bas comparés aux autres vendeurs , le service est vraiment au top ! Maintenant je sais chez qui commander pour mes équipements de ping ! RESPECT !" "Very quick postage and excellent and polite customer service. Received the product in 3 days which was a very pleasant surprise, and quality of products is no problem. Will definitely come again!" "ļoti labs serviss. pasūtiju bezmaksas ilgo piegādi, paka atnāca 2 divu dienu laikā :) preces atbilst aprakstam :) super"
"I ordered a Nittaku Septear Japanese penhold to be fitted with Hammond 1.8mm offensive rubber. The package arrived on time, and the rubber was impeccably secured on the bat. Bery happy with the service provided by TT11, and my only advice is to increase your Google search rankings because it took some time to find your site when I was searching for a penhold bat to buy. Wishing you a lot of success for the future!" "Good assortment of blades and rubbers, very accurate work in assembling blades, very fast in handling and shipping. Perfect service, thank you very much!" "Unbelievable! What an extremely fast delivery! I placed my order on Wednesday evening and when I came home from work on Friday afternoon, the packet was waiting for me in my mailbox. And I had chosen the "standard free shipping 10-14 days" option for delivery... I can't even imagine what would have happened, if I had chosen the faster delivery option... TT11 will be my #1 supplier from now on. Thank you very much!" "I placed the order on Wednesday, and was planning to test all the good stuff at following week's practices. Nope, we test everything tonight - and it is Friday. 2 days to Hungary. Perfectly packed, blade sealed for free AND beautifully: everything is top notch quality. Very impressive job, TT11 crew, hats off!" "Service is top notch. My Brother who made the order received the item in just 3 days. Very happy that I made the right choice in buying to this store. Expect another order in the future." "Thank you very much for the great service and products. Delivery was very quick, I received the package within 4 days." "This testimonial is about order #300056611. The order included Spinlord Waran 2.0 SPips; Keiler 2.0 MPips; Sternanfall LPips OX; an Andro Kiwu double racket wallet and two packs of the Schildkrot *** Balls. ORDER PROCESSING/DELIVERY REVIEW First, the order was placed late on a Friday around midnight -5 GMT. I received the standard email acknowledgement confirming the order was received but then had no further communication from TableTennis11.com until the following Tuesday when I received the "notice of shipment" email. I realize not all businesses work seven days a week but this was a long time to be out of touch regarding my order. If you are closed on the weekends that's fine but adding some language about orders being processed after a certain time on a Friday should be required to best help a customer establish proper processing/delivery expectations. Also, your website has no way of getting a status of an order that I could find. Perhaps this was because I wasn't registered at the time I placed the order. FYI, other major TT websites provide this capability. Now on the good side. Once I did get your "notice of shipment" email with a tracking number for DHL, delivery went quite rapidly. This notice was received the following Tuesday and the package was delivered the following Thursday at 2:45 PM -5 GMT. Absolutely amazing! Half way around the world and the package is delivered in less than two days!! Excellent job TableTennis11!! PRODUCT REVIEW I assembled the Waran and Keiler on a fast plus blade I already had and got to hit with it the same night. My strategy is to change my style of play from a spinner/attacker to an attacker/hitter/blocker. Age is catching up with me and looping just takes too much energy. I have been an inverted player all my life but recently changed to Joola Rhyzm P (FH) and Joola Ultra Express SPips (BH) at the recommendation of a friend. These are very fast rubbers. Both are installed on a Donic Epox All Around Plus. The Donic tempers the speed of these rubbers by being a slightly slower blade. A very nice combination loaded with speed and control for an spinning/attacking/hitting style of game. So why go to pips on both sides. Well, that decision came after attending the recent Butterfly Teams tournament that took place over Thanksgiving weekend in Philadelphia. I was amazed at how hard these players were striking the ball and it gave me the idea that I might want to be a better hitter than a spinner. I also wanted more control blocking heavy loops. I just happened to find a whole series of YouTube videos put out by Spinlord demonstrating the use of their products. After watching the videos and reading the descriptions about their pips out rubbers that you can attack and hit with I decided to give these two a try. Putting them on a fast blade was learned from a variety of blog sources discussing the use of pips out rubber for attacking and hitting. Both rubbers are quite lively on this blade. Waran on the forehand gives me just the right ability to pop the ball hard for a winner yet works extremely well on the touch game. Spin does not have nearly the affect as on inverted rubber and a great deal more control can be added to your game. Pushing and converting are a breeze. These short pips can also add "some" deception but really do more to absorb spin and speed. Keiler on the backhand is also quite universal and easily allows fast hitting, great touch and easy pushing and converting. It doesn't quite respond as fast as the Waran so an adjustment is needed particularly while blocking. There is quite a bit more deception with the Keiler and this is evident by balls being returned with a wobbling label (no spin). One new type of stroke I want to start learning is hitting backspin balls firmly with an open blade approach. This type of shot really catches your opponent off guard. The Sternanfall OX was ordered for a friend of mine so I can't comment on its performance. So far I have played with a wide variety of the new seamless plastic balls. These Schildkrot balls play just as well as the others and are very competitively priced. I highly recommend their purchase because of their lower price. The Andro double wallet is also a very nice product priced very competitively against other TT websites as well. It is quite spacious and there is a third zippered pocket on the front that could hold a wallet, money clip or cellphone. Another quality product I can recommend! 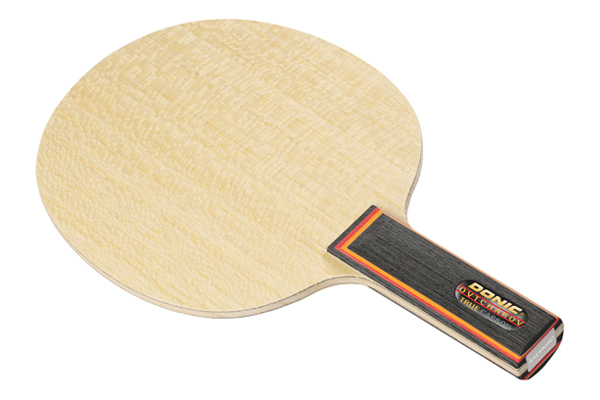 TableTennis11 has a great variety of products that are very competitively priced. Their worldwide delivery from DHL is quite speedy as well. I highly recommend you consider them for your next table tennis purchase!" "thanks for the good service and quick transport." ""i was very happy when i received my first international order.. thank you very much TT11 for fast shipping and excellent service.. looking forward to have another order. :)))"
"Great place for shopping table tennis equipments"
"This website is absolutely wonderful. Great prices, and the service is incredible. You can find clothing here for half the price than in the US, and the rubbers always have discount. I blindly recommend these guys. PS: You only need to work on how difficult it is to leave feedback. Feedback helps a lot those frequent buyers, looking for specific things. Cheers guys." "Como siempre los productos que comprados son realmente originales y de muy buena calidad. Además el servicio de envio gratuito a través de DHL ha sido espectacular, me llegaron los productos en cinco días." "The best TT shop. Shipping is very fast... 2 days ... Estonia-Turkey, thanks TT11, good job. Yahu bu nasıl hız, 2 günde elimdeydi verdiğim sipariş. Çok profesyonel bir site. Teşekkürler TT11." "TT11 is very professional service. I received my order in Serbia within 3 days!" "Thank you! I am very impressed. I ordered in 20 December and here we are... Santa arrived :) I wish you all the best! Have a Merry Christmas and a Happy New year!" "man, this store is great. if you want to buy something buy here, no matter where you live. the shipping is fast for a good price, and the product too. the store prices are great. I bought a grip tape and it comes the grip and a dhs double bag to put your rackets there. I paid 5 dollars for the shipping, it was supossed to come in 10 to 14 days but in 2 days the package arrived. TableTennis11 is the best store of table tennis in the whole world." "I ordered my Yasaka Mark V Carbon on Monday 10:30AM and got hold of it on Wednesday 2:30PM. It was my first order and I'm very impressed how fast and how professional is TT11's service and most importantly I got a genuine product at the lowest price. Should there be an Estonian player in an International game, then I would cheer for Estonia... :-) More power TT11!!! Mabuhay!!!" "Fast response and good price." "My favourite table tennis website. Few minutes ago has been arrived two new blades after only three days! Thank you for your job, you're fantastic guys!!!" "I am realy realy waiting my yasaka Extra Offensive 7 Power blade. And Tabletennis11.com's dicount is very excite to me. Thanks." "Best table tennis store ever!!! Nothing else to say totally recommended!!! Thank you table tennis 11"
"Excellent quality of service fast shipping and great customer service, and the prices are very good Wish they will sell butterfly to Mexico because there is no place to get it in the country. I will buy again soon thanks table tennis"
"I just got my second package and I have to say that you guys really care about your customers. Because for some reason my order was processed in more than 2 days, you sent the package by DHL to make up for the delay. This is truly awesome. Needless to say that the package arrived in excellent condition. Thank you, a satisfied customer"
"Great! For me the best TT shop. Awesome customers service, respond quickly. The best prices. Shipping is extremly fast! Keep it up!" "i was very happy when i received my first international order.. thank you very much TT11 for fast shipping and excellent service.. looking forward to have another transaction with you.. 2 THUMBS UP!! ;-)"
"Great price and fast service! Shipment arrived after 4days from Estonia to Philippines. Looking forward for another deal with you guys!" "I bought the butterfly cozy hoodie and pants online here and the speed of delivery was amazing. The items were also very neatly packed in a plastic air tight bag. Very pleased with the overall service guys........ Tabletennis11 Keep it up!!" "Very fast, profesional and excellent service. My order 26 oct 2015,29 oct 2015 morning have recived it.Thanks tabletennis11 team for great service!!!" "My happiness is overwhelming upon seeing the items that i have ordered. I do not expect that much because of very cheap price. The price is almost half in TT11 than any online or local store. More power TT11 and expect my next order to you." "Thank you for first order which I received on time in good conditions Thank you and your staff for great care Regards Shreeshaila"
"Great online tt shop as everyone who play this game should know. Great customers service, they respond quickly an be so kind. I can't wait to save more money and order from you all items i need to become a serious player." "First time order of two sheets of rubber and glue. Ordered Monday, delivered Wednesday morning. That's quicker than delivery from UK !! Great prices and good selection." "Very fast shipping, much faster then I place order in Australia. Very Reliable source. No regret to deal with..."
"You people are awesome!!! All the products are priced at the lowest rate online. Last time I suggested that the plastic balls should have an option to sort them if they are seamed or seamless. when I came again on this site, I found they added the filter to sort the balls!!!!! You people are really great. Keep up the good work!!!!!!" "Thanks a lot! received my package yesterday, Fast and reliable. Will do transactions with you again! thanks"
"Quality service at highest level. Tried my Waldner World Champion '89 blade out that was perfectly assembled and have to say it is the best blade in my opinion that I've ever hit with. Super quality blade is a perfect match for the Formula Donic Desto F3 Big Slam rubber. Thank you Tabletennis11 for the fun and enjoyment that you've provided me at a very affordable price." "- Terrific Product Line - Super Intuitive Website - Ultra Fast Shipping 5 Stars ALL THE WAY !!! Thank you TT11 team - :)"
"really very fast shipping - it is very nice racket original 100% and i'm very glad to buy from this site and i hope ill buy more and more thank you very much yours alaa"
"Sir , my order No 300044885 parcel is received in good conditions on 12/08/2015 , lots of thanks for your good service to customer like us . I definitely chose option for purchase any T T related goods from you in future . With Warm regards Arun Waje." "Increíble atención rápida, sin vueltas y envían al otro día. Les compro seguido por precio y servicio. Las paletas pedidas a medida armadas quedan perfectas. Sigan así. !!" "You have made my first International order for Table Tennis equipment is memorable one. I have received my custom made racket in time. I have have to say Hats off you for excellent reliable service. Please keep it up. I will place many more order with confident." "very nice assembly..very good packaging... fast delivery... can't wait to try the racket... customer service very nice and accommodating... thank you tabletennis11"
"Me he quedado gratamente sorprendido de la rapidez en llegarme el pedido, así como del embalaje- Excelente Recomiendo la compra en esta web, por su servicio, rapidez y embalaje"
"One of the best online sites for TT stuff! Service was fast,on time and customer service excellent. Much better in pricing and product ranges than my local stores. Will buy from TT 11 again and encourage my contacts to visit their website! Many tks for the service and experience. Rods, SH"
"Wow! Very fast delivery, I received everything within 3 days. The packing is also awesome, everything looks good as what I have expected. Thank you!" "Muy buena pagina, muy seria, me ha llegado todo lo que e pedido y en muy corto plazo la recomiendo 100% sus artículos con muy buenos"
"Awesome service with great packaging and always meeting the customer's needs. Quality products with pricing as the most noticeable. Thank you Tabletennis11 for providing the table tennis community trustworthy service and fun. Recommended with highest regards." "My first order with 3 pcs. Donic Acuda s1 turbo and bluefire jp01 turbo rubbers plus a Nittaku blade came on time with tracking no.and met all product decriptions. I am quite impressed with the fast shipping time and careful packing for air shipment from Europe to North America." "Great e-shopping experience! Fast and safe delivery. Thank you Erkan"
"Замечательный магазин, профессиональный и коммуникабельный коллектив. Заказывал уже дважды: накладки, основание и аксессуары. Приятно поразила скорость доставки - всего пять дней, и заказ уже был у меня в руках. Качественная продукция, никаких подделок. Всем любителям ТТ рекомендую. Буду сам заказывать в этом магазине и впредь! Персоналу магазина - мои самые добрые и искренние пожелания!" "Продукты качественные, оригинал. Оформление и доставка производятся оперативно. Консультации профессиональные. Все спорные вопросы решаются в пользу клиента. Спасибо." "They have excellent service and the best price." "I want to say just only " Thank you tabletennis11.com!!!" for everythink......"
"Quality service at it's best (you ask they will do it). Great products and great prices. Delivery and packaging are of great care. No problems here. Will definitely come back for more." "I ordered two rubbers, a blade, shoes and balls. I ordered on Friday and received them on Tuesday. Namely, I received them in 4 days. But we can say it two due to the weekend. Wonderful. Morover, The rubber was glued very well and the box was well packaged. Thank you tabletennis11.com!!!" "I have ordered 11 packages of the Xushaofa 3 Star Balls. It took the package 6 business days(average) to arrive and i had to pick it up myself today, because the Austrian Post did not deliver the oversized letter to me. When i opened the package at home, unfortunately one pack of balls was missing. After quickly replying to my email, the TT11 Team offered me to attach the missing pack with the next order or refund. After the bad luck with my order, i can say that at the end the customer contact and the service is EXCELLENT!!! Greetings from Vienna"
"In addition to my testimonial in Dec 2014, although this vendor has increase its minimum shopping tags to get free delivery, there is so much improvement on delivery time. After my ordered was confirmed (take about 2 days to get order confirmation). However!! !, the delivery time takes only 3 days!, which I considered it is very large improvement, since old delivery service take about 10+ days to reach Thailand. So much love on such improvement on service quality!!" "Very good package. It took 8 working days to get my package across from Estonia to Greece. I recommend tabletennis11.com to you all, guys!" "Quick service. I have received my packet in Hong Kong through five days only. KK Wu"
"Отличный магазин, обслуживание на высоте, быстрая доставка, цены вне конкуренции и впредь буду заказывать только у вас." "i started my playing table tennis a year back, as my game progressed i was looking for custom bat, which is relevant to me. i searched many websites but none could fit the configuration, cost and options i was looking for. but Tabletennis11 has everything in it, very good option in any of table tennis trading website i have seen so far, rates are cheap compared to other, and even i got free shipping and many discount and assembling. Thank you TABBLETENNIS11. 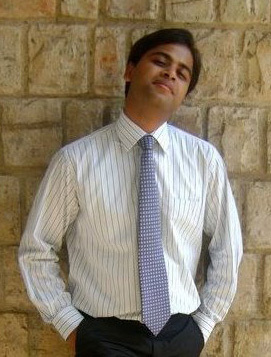 Thanks, Chetan D"
"Quick, high-quality professional service, fast delivery, excellent packaging. A+"
"Good price, good assembly, very fast shipment. I prefer 3 of my rackets from tabletennis11 thanks a lot." "In 7 days I received my package from Estonia. This is a surprise for me actually. Thanks TT11.."
"Delivery was free and took 10 days to reach me. Thanks a ton for assembling the bat. Thanks for everything." "Excellent. No comparison with any other site in terms of price and shipping. I ordered Xiom Ignito + Tibhar Sinus + Yasaka Mark V HPS, received in about a week through Indian Post via Estonian Post. Good packaging. Would definitely shop from here again and recommend to my friends again. They also added a side tape to protect the racket. All this stuff, plus free shipping world wide! The same racket costs around $50 more on the other leading website from US! This is how much the difference you people make to us. Awesome. It would also be great if you get your license for selling Butterfly blades and rubbers. Totally Satisfied!" "It has been a great pleasure to deal with TableTennis11! They were attentive, Excellent communication, Supper Prices! (better than on any other website in the world - I checked!) Excellent Packaging and Incredibly fast delivery! HIGHLY RECOMMENDED! Thank you Olga and the team! Your Loyal Customer from now on... Alexander"
"It took 5 days (3 business) to get my package across from Estonia to UK. Excellent service, my blade arrived preassembled and lacquered all of this for free. This is the only site I'm aware that offers this great service. I didn't had to ask twice, correct colour rubber on the sides as I requested. Very well packaged. Already had a few knocks with this bat (DHS Hurricane Long 3 / Andro Rasant PowerGrip / Donic Bluefire M2) and Im 100% satisfied with the product. Keep in mind I went on every site (China/USA/Ebay) to find the best, cheapest deal, and this place actually offered me the lowest deal + free shipping. I will be using TableTennis11.com for my future gear, great site, keep up the good work, I love the weekly/clearance sales, I love the fact that you offer blades in pretty much every handle option (ST/FL/CP) Will shop from you again. The only thing left now is to write some reviews of the product. Thank you"
"Все товары были получены быстро, все пришло в целости и сохранности в хорошей упаковке. Кроссовки пришли именно того размера что и указывал при заказе что очень важно, Я очень доволен покупкой!" "Thanking you Sir , I have received parcel on dtd- 26/03/2013 at 1300 hrs containing orders items like Xiom Zetra Quad blade ST + Andro Rasant Grip rubber + Yasakka Mark -V rubber and Glue of Nittaku are found in OK conditions . Tabletennis11.com is really best site for online shopping from India and found original products. It takes two weeks time from 13/03/2015 to 26/03/2015 from Estonia to India Pune Maharashtra. In future i will surely attach with you . one clarification is required , one small Mineral desiccant is found in the box of T T blade , how it use , pl give guidance." "Thank you! I recieved my package through 3 days! Thanks for the discounts and for the good packing." "Dear Tabletennis11 staff, Thank you so much for your support in choosing my table tennis racket. I got the parcel within 8 days. That's fantastic! Great quality packing and the racket. The rubber was sealed and assembled absolutely ideally. You are exceptional Table Tennis store!!! Will make order for rubbers and other equipments in future for sure. sincerely, Aidyn Aubakirov." "i ordered for Rakza x on the 17 night and the rubbers were delivered to me on the 21 feb in the afternoon. it was beautifully packed and swiftly delivered within 3 days. wow now thats what i call super service. 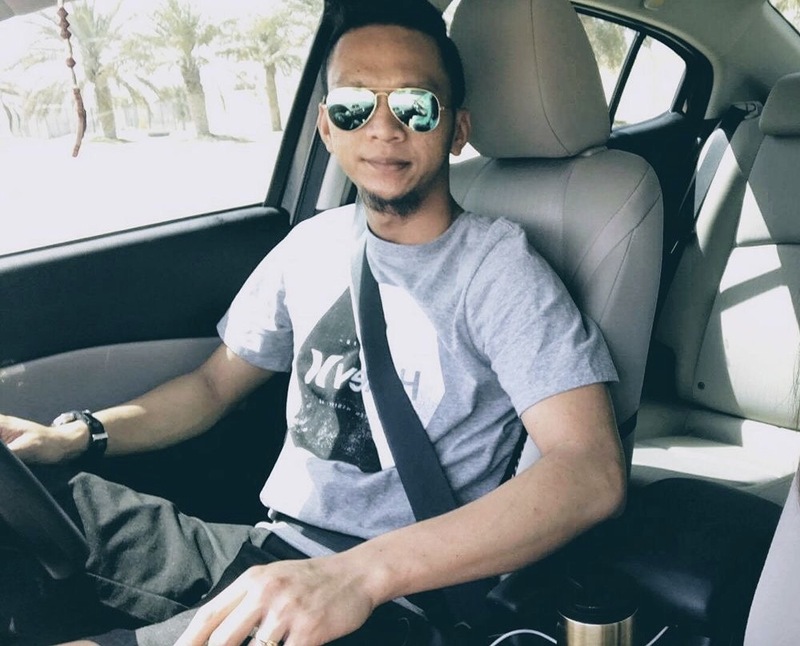 keep up the excellent work and u will certainly be getting more orders from my friends bcoz of ur exceptional service and understanding of table tennis. Thanks and God bless You"
"I had a 10 euro discount coupon. But accidently, I ordered without it. The order couldn't be canceled because rubbers and a blade which I ordered was assembled. So they gave me some balls on ten euro! How kind they are! Thank you tt11!!!!!" "I was amazed to see everything from TT11.com be so perfect. The delivery was very quick, quality is genuine and perfect. i would again buy all my TT needs from TT11.com and recoment it to everyone. Can you reduce the shipping costs or the minimum cap for free shipping? That would help a lot. Thanks and regards A happy customer. :)"
"some time ago I had bought a few items but there may be problems with the delivery of the company's expedition so far I write this I never received the goods and on this day the management tabletennis11 return all funds. of course with this kind of service I highly appreciate and recommend tabletennis11 as table tennis online store very professional, excellent warranty"
"I Really Want To Thank TableTennis 11 For Thier Super Great Qualities And They Extrodnary Shipment i Live iN Egypt And iT Took Only 12 Days O.M.G I Can Only Say That TT11 iS The Best Online Shop For All Table Tennis Needs Thanks Table Tennis 11"
"I got everything as I expected, except the fast delivery... because it's faster than I expected. For I made an order from Saturday night, I already got a tracking code by the next Monday. And it was delivered to me on the next week exactly... Good service, and and trustworthy online shopping. I recommend tabletennis11.com to you all, guys!" "Best service, fast shipment, customer support. Great store. Recommend"
"Thank you very much for the great online store. I have found all I need for me and I'm sure, that other table tennis fans will also be able to find here their favorite weapons." "Замечательный магазин! Цены очень порадовали, особенно со скидкой 30% на накладки и доски. Все пришло за рекордно короткие сроки для нашей почты. Упаковано отлично ( ничего не помялось, ни порвалось, весь инвернать проложен пакетами с воздухом). Отдельно хочу отметить собранные комплекты ракеток! Накладки обрезаны и наклеены просто замечательно ( покупал друзьям, но сразу же захотелось осатвить все себе)). Спасибо Вам огромное." "Отличная резина! Играю с BH! Вращение, скорость - норма! Рекомендую!" "This is one of the best site. The special offers that they have is wonderful and is a weekly eye catcher. Sad that they dont ship Butterfly blades and rubbers to India. Over all I like the speed of delivery and also prompt response on emails. The quality of goods received stands wonderful. I have recommended this site for all players who I know for buying stuff. All products sent are genuine. Only a small request, just to make Butterfly stuff available for India too :) Otherwise five star rating to tabletennis11.com"
"Ordered on 26th Dec, Ordered processed on 29th Dec(Christmas) and arrived here in Singapore on the 13th. It's quite fast! They've done a good job sticking on the rubber, the blade feels great and everything is in top condition! Thanks tt11!" "Very fast delivery and good prices. Thanks for the excellent service. Best Regards." "I am satisfied with all services such as fast delivery, reliable payment and high quality materials. 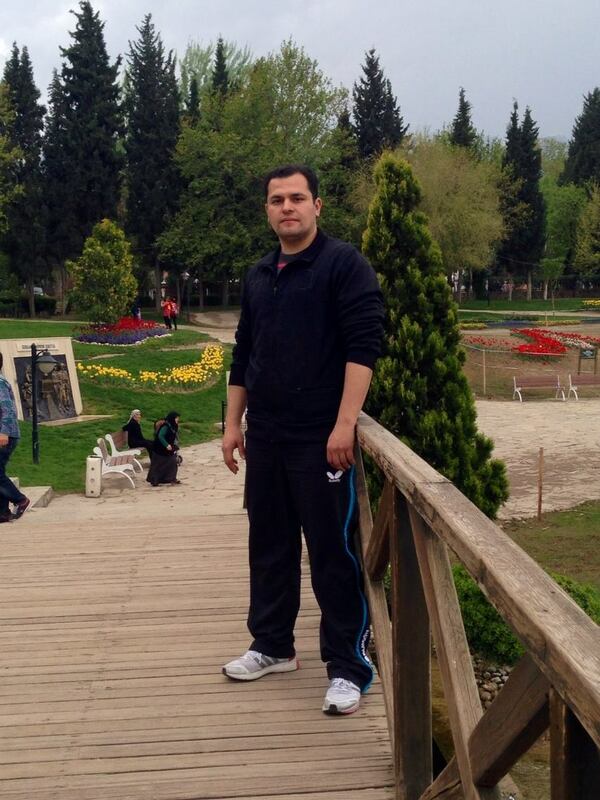 Regards from Türkiye"
"Great service and very good prices. Got my parcel today. Could not have been more happy to see such great levels of service. Keep it up!" "Отличный магазин с отличными ценами. Ассортимент и скорость обработки заказов впечатляет. Спасибо! С наступающими праздниками и успехов в Новом Году! Great shop with very attractive prices. 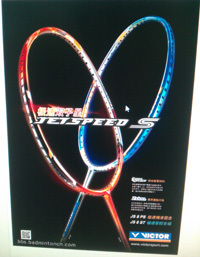 There is a lot of tennis goods and the speed of orders' processing is amazing. Happy holidays and a successful New Year!" "Excellent: Website, Variety, prices, fast shipping, packing. They went above and beyond my expectations." "Based on my experience, the whole delivery process is finished within 10-12 days in Thailand since from the order receiving to finish delivery. 2 main value which TT11 offers to me are price and professional service. The price of the most product itself is cheap (especially, blade) without volume discount. Moreover, the free delivery service is very attractive to me and this is one more factor which I can be assured that TT11 try to minimize cost to customer. The service is very professional and quite on time as they claim in delivery disclaimer. In the end, I'm willing to spend more on this website without worrying too much on price and quality of service." "I just picked up my order. It took 7 days to get here. Fantastic packaging, fantastic products, I actually have another order already shipped and i can't wait to pick that up as well. It's refreshing to experience such good customer care. I give TT11 a big thumbs up. I have no need to look elsewhere for all my equipment. needs. TT11 you have a customer for life." "My choice of supplier was based on the testimonials before me, and all I can do now is to add mine. The most professional packaging I have ever seen (and this wasn't my first order of TT equipment), the assembly of a most delicate Nittaku setup done in a way that I almost felt forbidden to touch it; and all that followed a hyper fast customer service with my special requests, with a very knowledgeable crew. You know, when you call a place and a nice female voice answers, you may not expect a professional conversation about racket setups, sponge thicknesses and handle types, but be prepared if you call them - because they will be! :) Shipping to Hungary took 3 workdays, which is also amazing." "i received my waldner black devil blade within 7 days of ordering it. it was in excellent condition and beautifully packed. i will surely order from u in the near future and have also recommended this site to my friends. keep up the good work"
"Received my package today, the blade was assembled beautifully, the rubber was cut so neatly, and the packaging was fantastic, the rubber was enclosed between two pieces of sponge. Nicely done, even though I have placed another order, I will order again, now I am customer for life. Thanks for the prompt responses and good customer support." "I have been order from table tennis 11 almost every month. Tabletennis11 use to have new product faster than other place and also always have best price, specially weekly special, delivery to Louisiana USA 13 to 20 days( hope faster). Customer service very helpful. Highly recommend who like best price and best service." "I placed an order on the evening of the 5 November, it arrived on 13 November. 8 days from Estonia to Croatia, thats good! THANKS a lot ! Good packaging,quality products, fast shipping , very good price! will buy from you again." "This is an amazing and perfect site for buying table tennis equipments. Perfect service. The products are genuine here. Shipping is very fast (took 5 days to deliver in India). Packing of the equipment was superbly done. 10 on 10 in all aspect." "Very fast, profesionalusi and excellent service. Thanks tabletennis11 team for great service. Lithuania Kazimieras"
"tabletennis11.com - большое Вам "СПАСИБО" !!! Заказал накладки для ракетки настольного тенниса. Получил через 15 дней!!! Качественный товар, приятные цены. Рекомендую всем покупать в магазине tabletennis11.com!!!" "I couldn't be happier with the whole process. Communication was swift and reliable and the goods arrived carefully packaged. I will definitely continue using tabletennis11. All I need to do now is practice." "Gorgeous item! Excellent communication, fantastic services. Very quick delivery. HIGHLY RECOMMENDED SELLER!" "I placed an order on the evening of the 18th September. It arrived on 23rd September. I'm almost sure that's faster than most of the Swiss shops. Thanks a lot!" "THANKS a lot ! good packaging ! fast shipping ! very good price ! 3 days from estonia to germany, thats great ! will buy from you again." 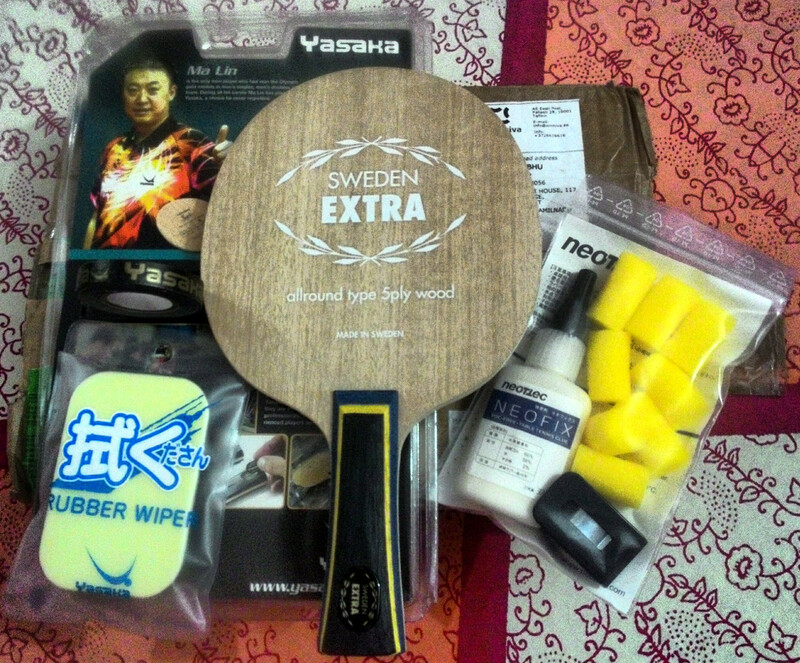 "Very prompt, professional & excellent service from tabletennis11 in connection with my recent purchase of a Yasaka Sweden Classic blade. I am sure the blade will not disappoint when I get round to using it as is a renowned classic. Thanks once again tabletennis11 for the excellent service. I'll certainly purchase from you again." "You, TT11, impressed me with your great works performance. It's just 1 week after the order was made, I received all of mine. Assembly is well done without any defects. I wholeheartedly recommend for purchasing of products from TT11, and I would deal with this shop again if I want some more ! Thanks." "TT11.com...I am overwhelmed by your service. Genuine products, excellent customer service and best of all all products are at its best price. I will barely look forward to another website for purchasing. You guys are the best. Keep up the good job. I am sure many many customers will find you guys more than satisfactory." "Excellent seller. Very reliable.. Good prices. Great delivery system. Good suggestions. Been regular buyer for the last 2 years and above. What else to ask for?" "Já fiz algumas encomendas nesta loja. Todas as vezes fico satisfeito. Estes senhores são muito profissionais. Eficiência e rapidez são as duas palavras que, na minha opinião, descrevem este vendedor. Um grande bem-haja e espero continuar a comprar na vossa loja." "Fast and quality services, perfect customer service plus reasonable prices. Excellent...! Thank you tabletennis11." "Gratamente sorprendido por la calidad de los productos que compré. Además debo resaltar el servicio gratuito de encolado y pegado de los jebes, es perfecto, tanto que parecen unidos de fábrica. El tiempo de entrega por lo demás es bueno, considerando la distancia que hay entre la tienda y mi país. Tabletennis11 es una tienda altamente recomendable." "The package arrived, fast delivery and great service. Thank you. Trusted seller!" "thanks you tabletennis11!!! !good packaging !! fast shipping!! best price!!! will buy from you again soonn..:)"
""This is my second order from here. Excellent packing and fast delivery. Thanks !"" "This web site provides the best offers in equipments for table tennis. There is a great range of products to choose, and each week there's a big discount at several items. Every purchase from here came to my country very fast and in perfect conditions. Would recommend for anyone who wants to change the equipment and can wait for a while." 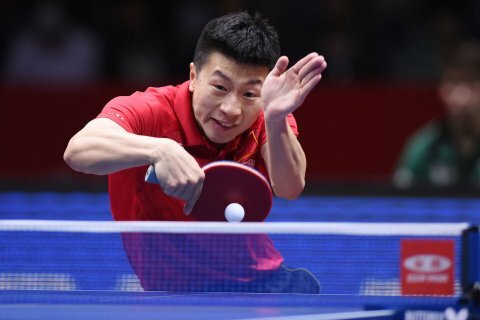 "tabletennis11.com Отличная команда, очень качественный инвентарь, одежда и обувь. Действительно профессиональные продавцы-консультанты помогут Вам определится с выбором инвентаря, всегда оперативно и полно ответят на все возникшие вопросы. Международная пересылка просто на высоте в плане сроков доставки и бережности упаковки. В общем все хорошо, так держать и УДАЧИ!!!" "This is my second order from here. Excellent packing and fast delivery. Thanks !" "Thank you very much. 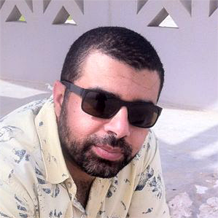 I understood that you are professionals on your work(field). Very quickly on time sent my order. Cheap costs Discounts and packaging are very very effective. Happy days"
"From Turkey with love ;) Good work, remarkable timing to answering the questions, excellent team and reliable site. Thank you guys. Shopping will be go on :)"
"Спасибо! Быстро, четко. Нужное качество за хорошую цену. Молодцы." "Thanks a lot....fast shipping,strong packing!!! Быстрая доставка,качественная упаковка посылки....спасибо!!" "I am from Turkey and I got my blade and rubbers glued in 8 days. they have a professional team and they seem to be honest people as far as I can see. perfect transaction, very good communication and fast international delivery. very good packaging. looking forward to following transactions. I have done online tt shopping some other places too BUT tabletennis1.com is BY FAR the best in all respects. (price, quality, shipping, communication,etc.) thank you very much"
"Very happy with the service I got from TT11. Queries were answered very fast. Delivery was within time. The blade was well assembled ( bought rubbers as well ) , nicely taped. The delivery package also contained half a dozen TT balls and an extra edge tape. Have recommended to all my TT playing friends in India for quality product at good price with great service. Cheers !!" "Je remercie tabletennis11 d'avoir les nouveaux produitsdisponibles avant tout le monde la plupart du temps et surtout des produit de qualité et un traitement des commandes très sérieux." "Very Recommended Seller,!!!! i already many times ordered items from tabletennis11 and so far doesnt make any trouble or anything else...Great Job for tabletennis11 team...."
"I've known the owner (Mr Petrov) even before he had this shop. He is a wonderful person & has an amazing team with him. I was more than satisfied with my order. Everything was perfect just as expected ! This is by far the best shop for table tennis. Thank you Mr Petrov & team. #TABLETENNIS11 BEST SHOP EVER !" "Very fast, professional -no doubts- service. Sincere deal, thank you!" "I was shocked at how fast the international shipping was from Estonia to NY, only took a few days. Prices are excellent and the best compared to other online stores. Very happy customer and will always buy from here again. Actually I already put my second order and I know it will arrive soon again. Thank you!!!!" ""Im from Brazil, and im happy to say that tabletennis11 is the best on line store i know, the suport by e-mail are excelent, the shipping, outstanding! 9 days to arrive on my home, faster then the local postmail im brazil. Congrats to tabletennis11 you guys are amazing!" "Professionally packaged and even more professional when opened. High end table-tennis racket for elite level players. Thank you TableTennis11 best of the best. I will definitely buy again from you guys." 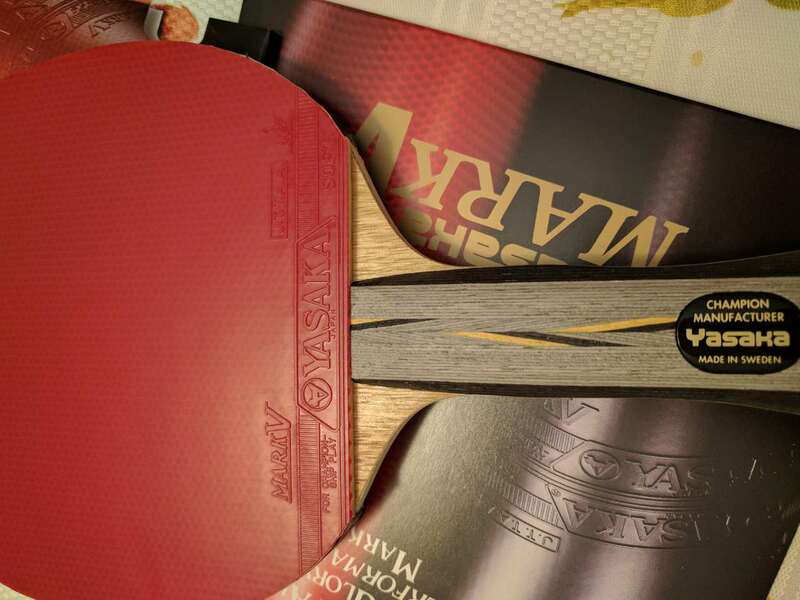 "I want to thank Tabletennis11 for their generosity and giveaway activities - I received a rubber XIOM OMEGA V Pro, an incredible gift for a table tennis player! FAST shipping even for my country, Cuba, in the Caribean. Thank you very much to the staff!" "First I was a bit worried, but the package arrived. Thank you for a nice and helpful service. Trusted seller!" "Fantastic service! Ordered Thursday night and it arrived Monday morning, fantastic considering coming from overseas - really well packaged and will definitely buy from again." 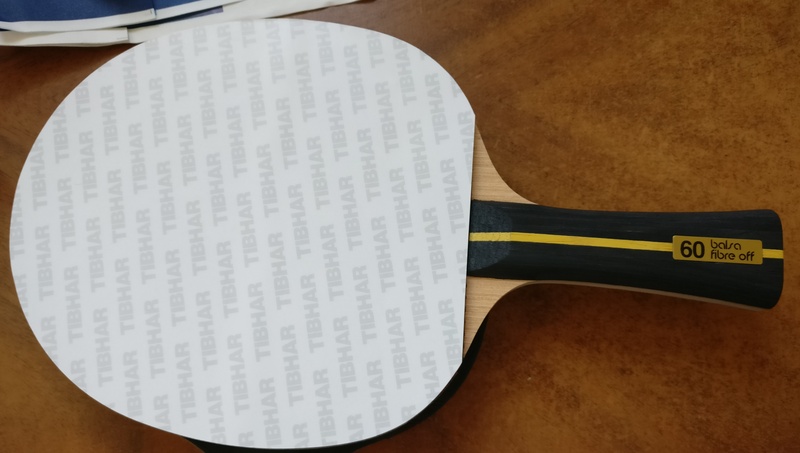 "First time ordered a blade and rubbers from TableTennis11, I got it within a week (in Hong Kong) and the blade and rubbers are very well assembled. Good job!!!" "A nice team with the best approach to client, high professional skills. The order received in very short time in a perfect condition, good quality. I will highly recommend the tabletennis11.com for shopping! Thank you." "Very professional, trustworthy and helpful staff. They updated me all the way about my order that I thought got lost. I for sure will do more business with this table tennis store." "To start with, a first class service provided with amazing price/discount! I ordered two rackets, both delivered on time and they looked perfect. 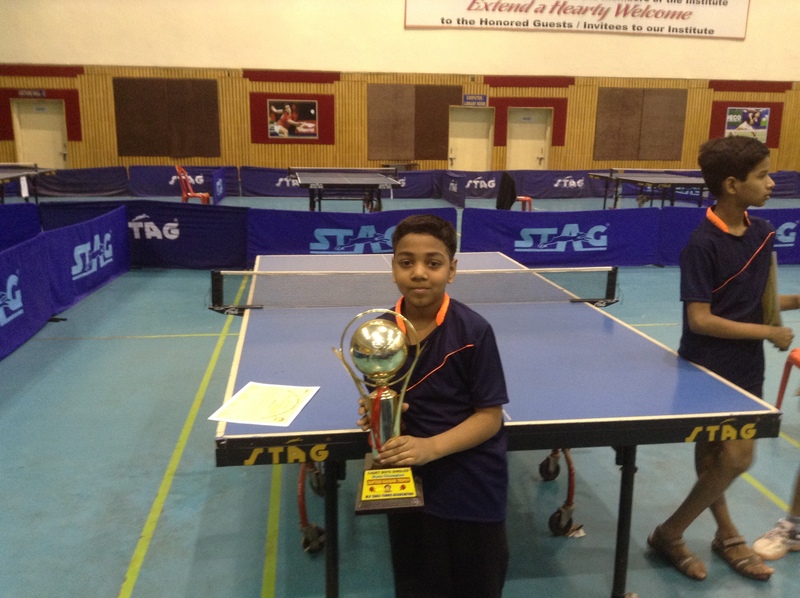 I would like to thank TT11 for amazing service provided to all Table Tennis players across the Globe." "Hi Tabletennis11, I am very pleased with the service, ordered a Yasaka Rubber sheet , and it was delivered in 5 days. Keep up the good work!" "Quality products, good prices, excellent service. 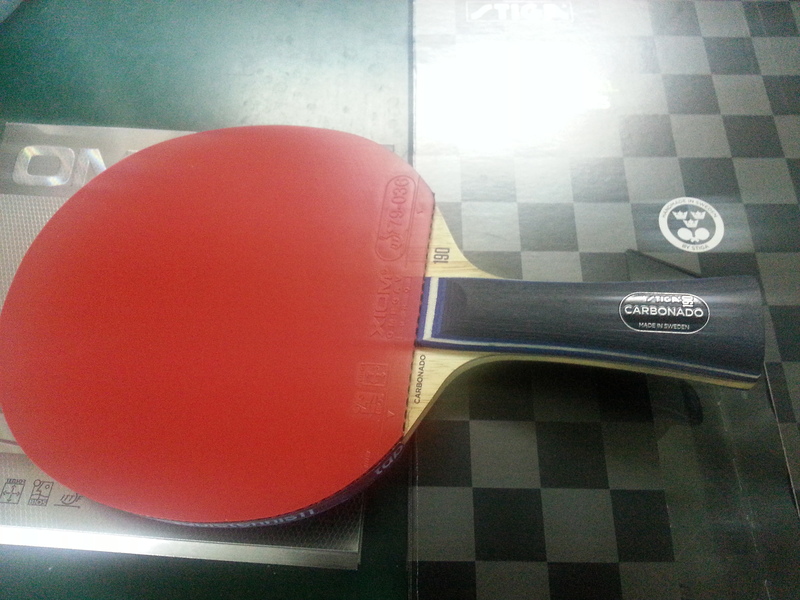 I'm very satisfied and I highly recommend TT11 for buying table tennis equipment!" 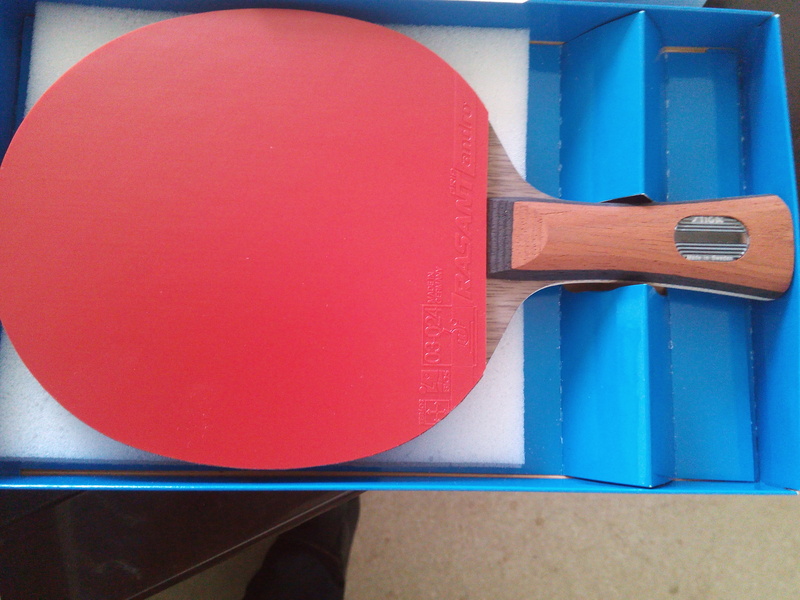 "It is a pleasure doing purchase from tabletennis11. Every email replied, every question answered. Big thumbs up for you guys, keep up the good work. You have my recommendations all over." "Translation: Hi Folks, just wanted to say it's a very good store! I had no problems with the orders and all the products arrived intact so I highly recommend TT11 as a very good service! Thank you very much gentlemen! Original Testimonial: Hola amigos solo decir que es una muy buena tienda, no tuve ningún problema con los pedidos que he realizado me han llegado todas los productos intactos por lo cual recomiendo a ojos cerrados tt11 muy buen servicio. Muchas gracias señores." "Really appreciate your quick response to all my queries. Shipment time was also faster than I expected. Overall a satisfied customer and will refer your site to all my friends!" "Two words to describe tabletennis11.com: extreme professionalism! The best place to buy articles of table tennis." "The best site for buying table-tennis equipment. The discounts offered here make the price affordable since tt has become an expensive sport now and changing rubbers frequently isn't possible for everybody. This site is managed by highly professional people. I have recommended this site to most of my friends. The most striking feature was the prompt delivery of items. I don't think I will ever buy my tt stuff from any other place now. Keep up the good work guys!" "Very professional team! The best products at the best price with the best service." "Very friendly, professional handling of sales and parcel by Tabletennis11. Unbeatable price!" "I was one of the winners for a free rubber and now i already have it thaks a lot tabletennis11 :)"
"TableTennis11 is such a perfect TT store, Excellent Service, Unbeatable Price!" "I felt like a teenager again, counting the days for the purchase to arrive! The answers to the questions I made were awsome, as well as the package and the shipment. If there was any delay with the delivery it was due to the customs in Brazil, but it shorely wasn't leaving Estonia. The tabletennis11 deservs all my loyalty. Je me suis senti un adolescent à nouveau, en attendant mon achat! Les réponses aux questions que j'ai posé ont été impécables, ainsi que l'envoi et l'accomodation des produits. S'il y a eu quelque retard, cela est du à lá burocratie de la douâne au Brésil et non pas à la sortie de l' Estonie. La tabletennis11 mérite toute ma fidelité." "I've just received 2 Stiga Infinity VPS blades with Conic handle in a very good packaging. Support did an excellent job on solving problems with PayPal payment, TT11 team is very patient. They offer great stuff and great price! I hope u will become the best TT store in the world soon. Thanx!" "La actitud comercial del equipo de tabletennis11 es impecable y elogiable. No tengo más que expresiones de congratulación por su eficiencia en la atención al cliente y despacho de órdenes. Altamente recomendable." "Excellent excellent seller. ... very quick service. Takes 8 days to arrive from Estonia to LA. Looking forward to buy more." "Received my nicely assembled racket within 7 days. That's very impressive! Have never seen such quick response and free international shipping." "Very fast shipment. Good product. I'm happy! Thank you and good luck!" "TableTennis11 is such a good company. I give recommendations when it comes on equipment to teammates and friends. Probably the best on the planet approach to client, high professional skills. All in all big thumps up to Tabletennis11, you guys you are doing an excellent job. Keep up the good work!!!!!" "This is my reference site/shop for all things tabletennis, great range of products, superb service, and very intresting promotions!" "The order received in very short time in a perfect condition. Good quality, very happy! See ya again :)"
"A nice team with the best approach to client, high professional skills. The order received in very short time in a perfect condition, good quality. I will highly recommend the tabletennis11.com for shopping! Thank you Tabletennis11 Team for help, kind cooperation and the job done. For all table tennis players: do your shopping on tabletennis11.com with confidence!" "This is one stop site for all my table tennis needs tt11 has super fast delivery and great service. They have a super team taking care of all the customers!" "Thank you for my first order, everything was fine, lots of good prices and fast delivery. Recommend it to everyone, keep up the good work!" "I am so pleased with tt11 services that I've already ordered 6 times form them (and counting). Great packaging, high delivery speed, efficient customer support, reasonable-to-low prices (lots of discounts), extensive offer and 100% trustworthiness. They have my highest recommendation!" "Great delivery time! Received everything today, monday, wasn't expecting it 'till the end of the weak at least. And it's free! Great website! Easy browsing and selecting. Great prices! Made a +€300 order, so 30% off is really nice. Too bad there aren't any discounts on other stuff than blades & rubbers. Good product range. Missing some rubbers though, any Joola, some Stiga classics and Butterfly of course (but that's due to Butterfly itself) Good service. Blades seem to be lacquered and glued well. Ball drops dead on the friendship rubbers though, but that's probably due to the rubber itself. Haven't played with it yet. Nice gadgets. Some free gadgets were added to the parcel. Some side tape, 3-star balls, xiom stickers. Always makes you happy, doesn't it!" "Good quality, Good price and excellent shipment. Every time i'm so excited to open the little box from TT11. And this time it only took 5 DAYS to ship to NEW ZEALAND. When i open the box, some little SURPRISE is right there! Really FUN shopping on TT11, definitely recommended for table tennis lovers. You guys are doing an excellent job for us, for table tennis. Keep going, TT11!" "You run such a good company! I give best recommendations when it comes on equipment to teammates and friends, keep up good work!" "Very good price, excelent work, and very good packaging. Also fast delivery." "I'm glad that I found Tabletennis11. It has been one of my top few frequent visit table tennis online shops. Good service, good price, reliable and prompt delivery. Highly recommended to others!" "Tabletennis11 does a good job on attaching and cutting the rubbers. Recommended to all customers!" "Excellent product, first class delivery, very pleased all round." "Just when I had given up hope of buying quality table tennis equipment in India, I learnt about Tabletennis11.com. In my country, it is not easy to come across fresh, specific, and latest TT equipment without paying exorbitant prices. Online research showed me that Tabletennis11.com final price (including shipping) was the best in comparison with http://megaspin.net, http://english.tabletennis-shop.de/, http://www.paddlepalace.com and http://www.presports.com. Pre-sales response of Tabletennis11.com to my technical queries was also the fastest compared to the others. Last week, I received my bat with Yasaka Extra blade, Mark V 2.0mm FH and Mark-V 1.8mm BH. Excellent quality, nicely taped and 5 days delivery time. What more can you ask for? Have re-started Table Tennis after 20 years, so I chose this bat. Plan to recover my game in 6 months and buy a tournament-level, higher-end bat again from Tabletennis11.com. In today's highly commercialized world, it is very difficult to find the combination of top quality at cheap price. 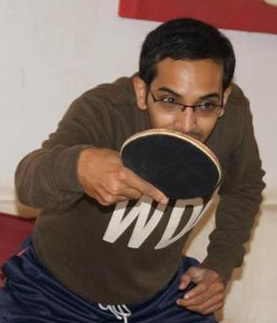 I strongly recommend Tabletennis11.com for people across the world and even more so for TT players in India. Keep up the good work guys!" "I am a 48 years old man and when I was 14 I bought my first yasaka mark v (factory assembled) well i am here just to simply say that I had the same feeling when I opened the package from TT11 with my new racket assembled by them. Great work. It’s nice to look at it, not the most important thing on a racket for sure, but it feels like money well spent. First, you are very fast to answer questions. ; second the transport with the tracking stuff works; third the assembling you made (rubbers and blade) is very good; fourth everything I ordered was in stock, and finally you have great prices and a good selection of products also." "After reading some reviews I thought this blade would be fast as hell and thus very hard to control. However, I was surprised with it's playing characteristics. It's a great blade, powerful, a bit springy but very well balanced, without unpleasant vibrations and not difficult to control. Now I have two YMLEOs, first ordered a year ago from another seller and the second from TT11. Both blades have been manufactured perfectly. TT11 dispatched it the same day I ordered (88g, as I requested) and I got it in a week (actually in a four days only, since on Friday and weekdays parcel stayed at the customs). It seems you can't expect nothing but the great service from TT11. Keep up the good work guys!" "I was glad for their good service, fast delivery, price, and care in packing. I recommend to all table tennis players." "Great quality and fast delivery. I'm very satisfied with your service! Thanks a lot!" "I got it in 10 days from shipping date (I live in Los Angeles) and all my questions were answered. Definitely will come back to order more. Service is fantastic." "I'm very happy to do business with you and the way you do - quick response!" "Thanks TT11, excellent price, fast delivery, great communication, simply the best! Excellent racquet, recommended!" "I have received the order in the post office today. Thank you very much, I am overwhelmed with joy. Thank you very much for your service."